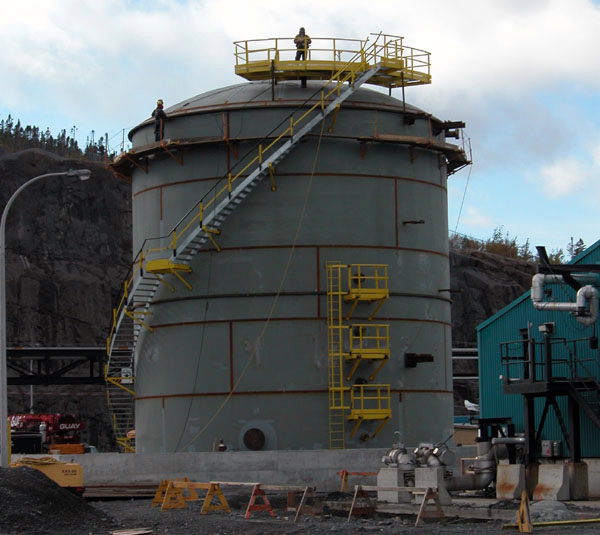 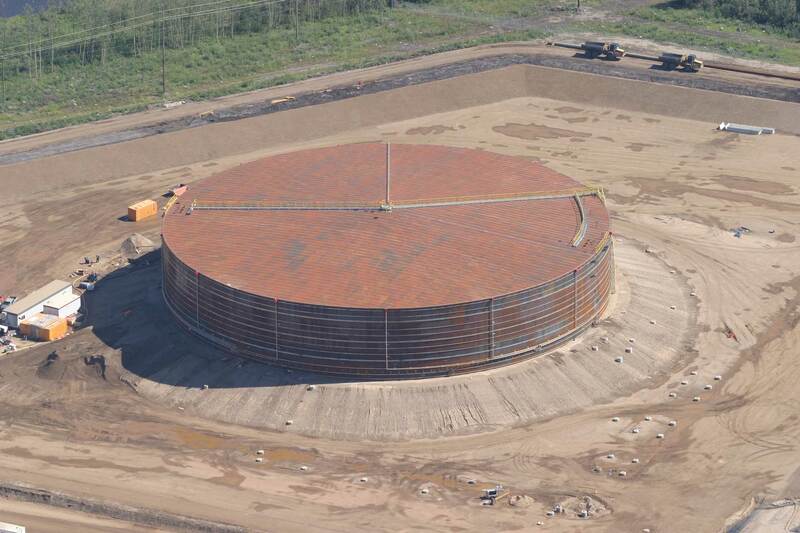 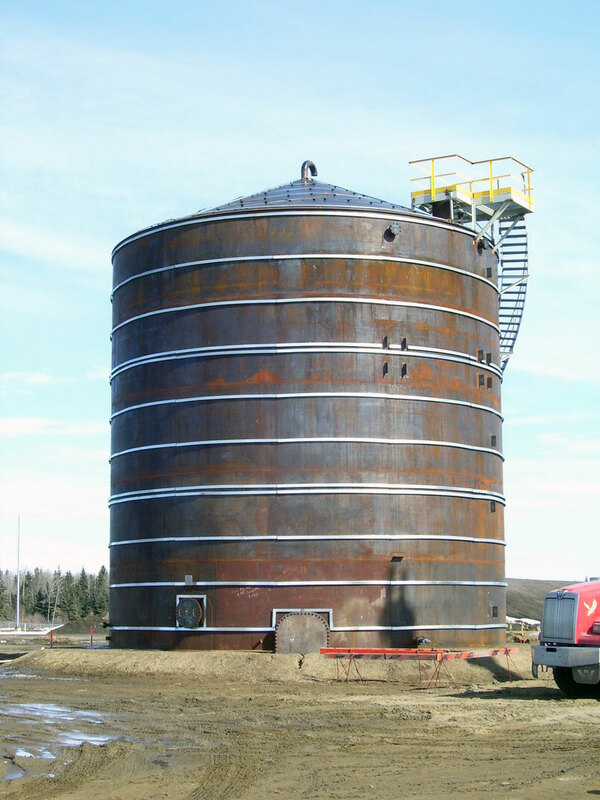 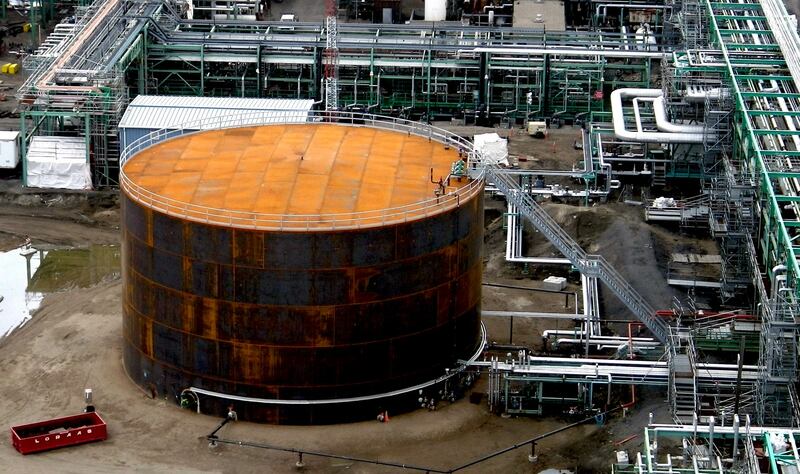 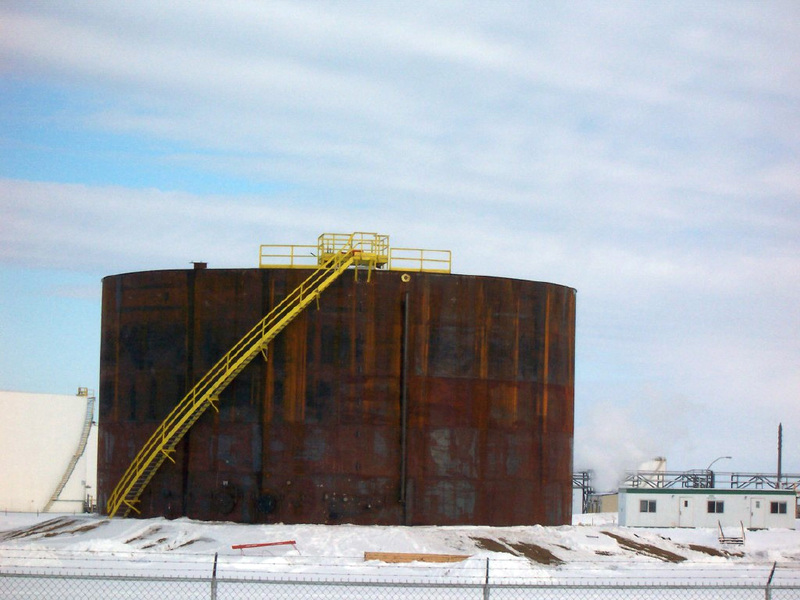 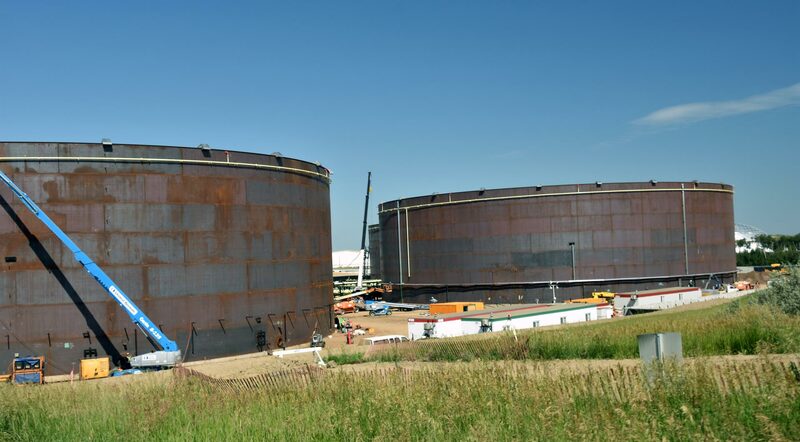 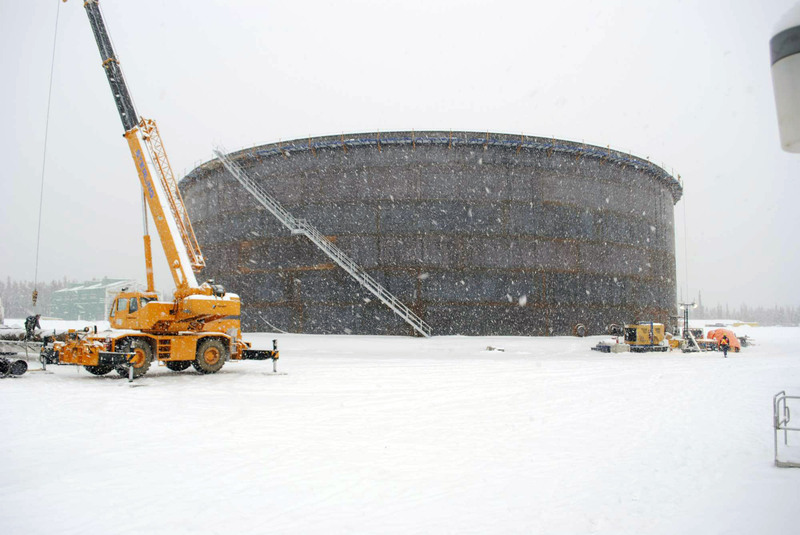 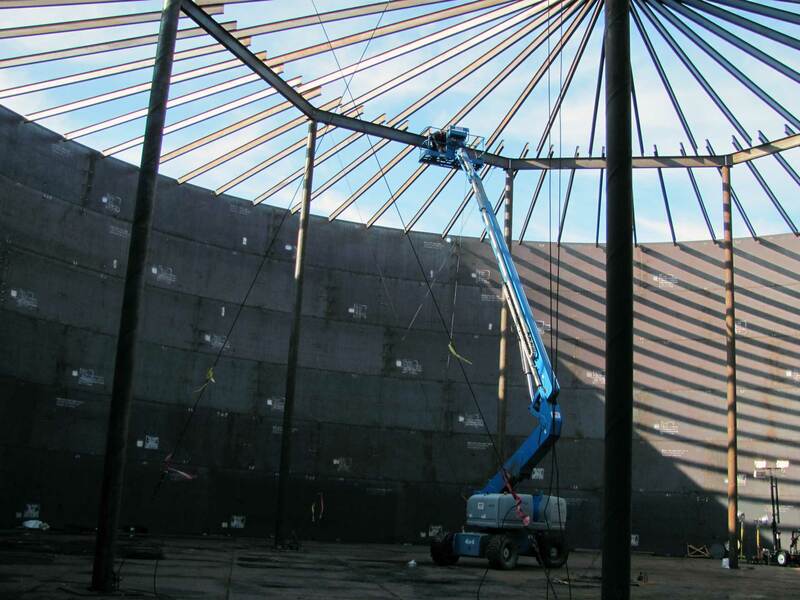 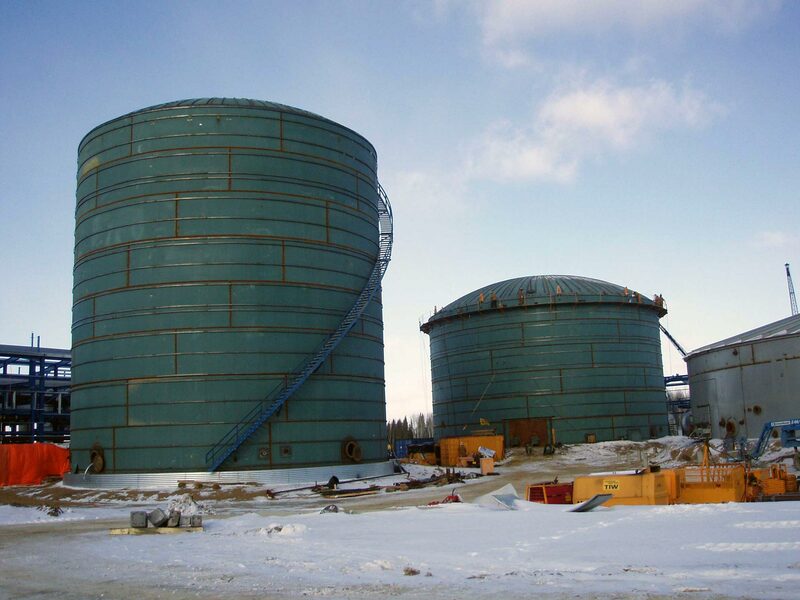 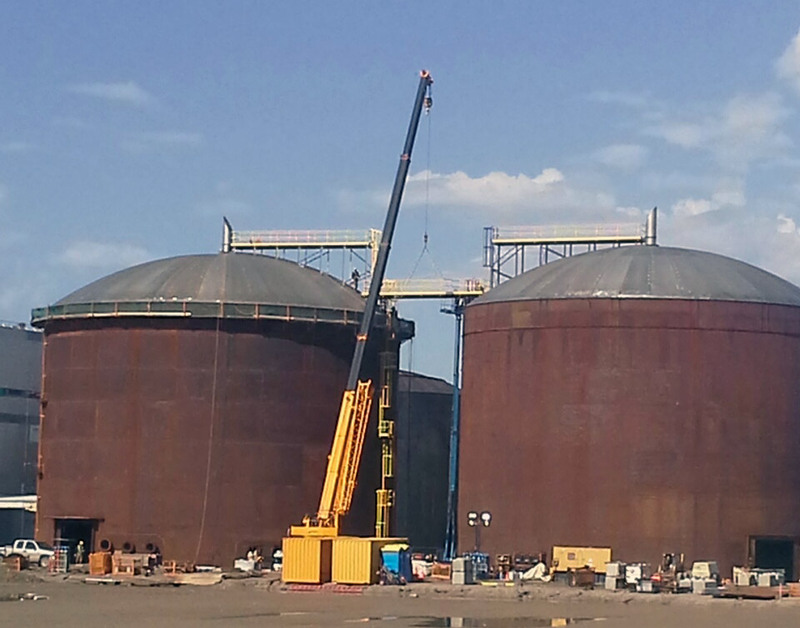 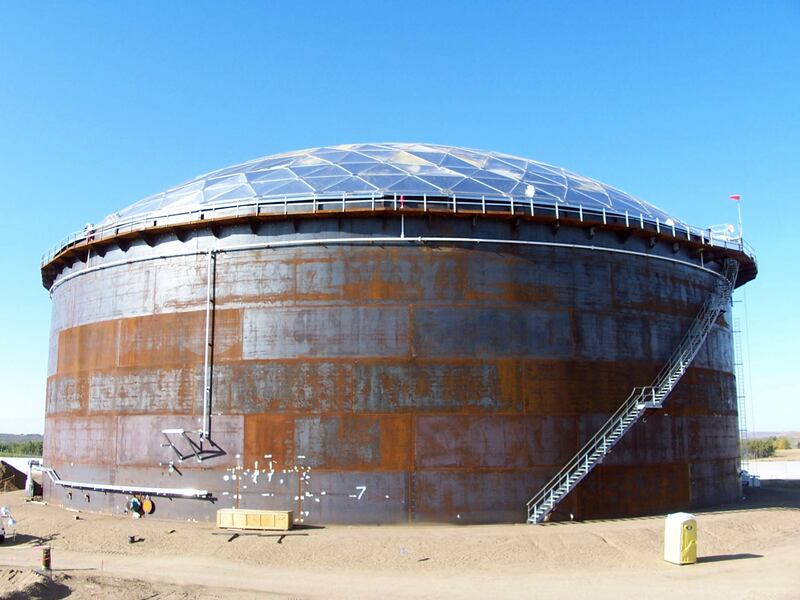 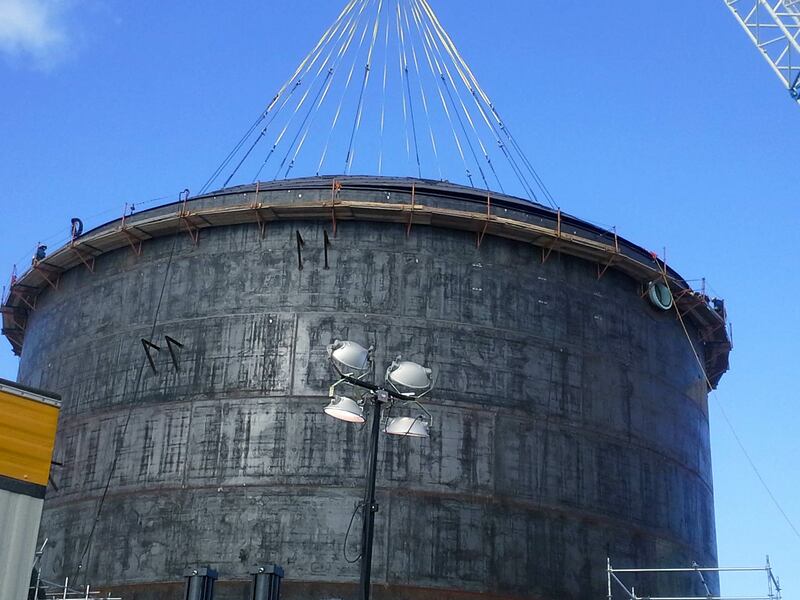 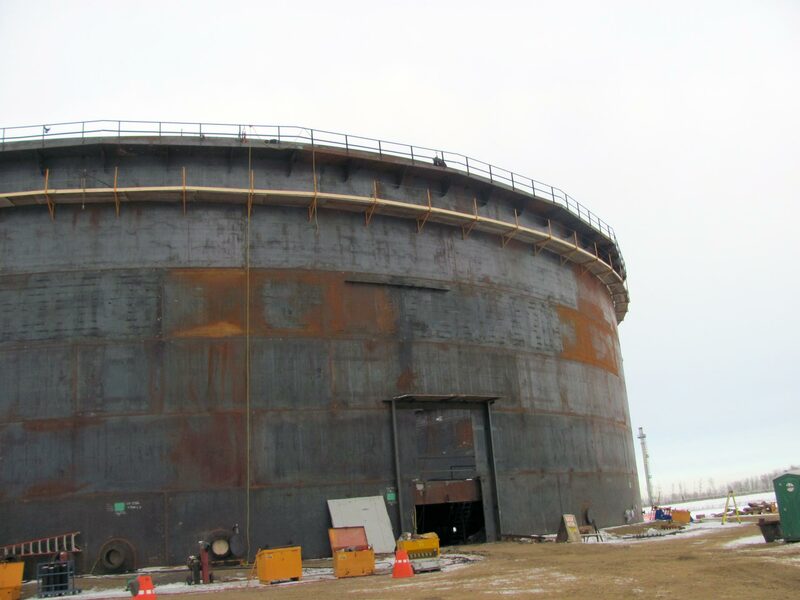 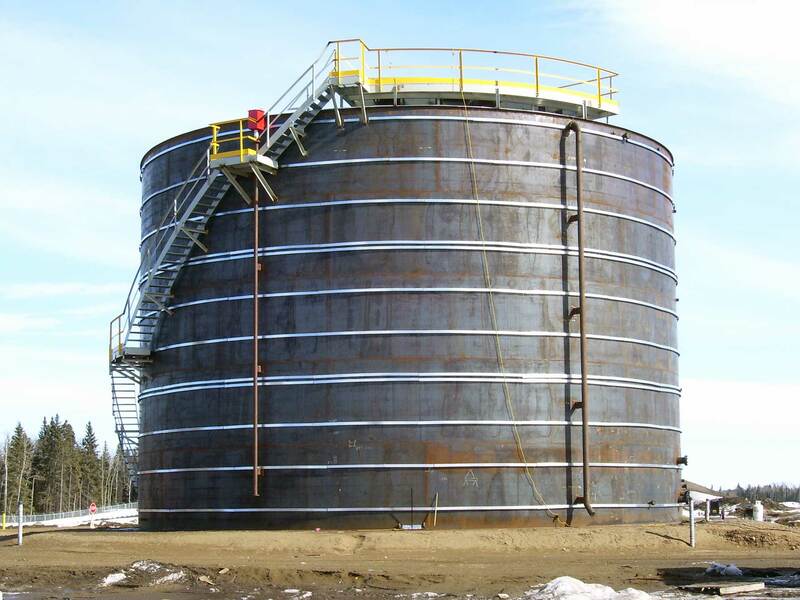 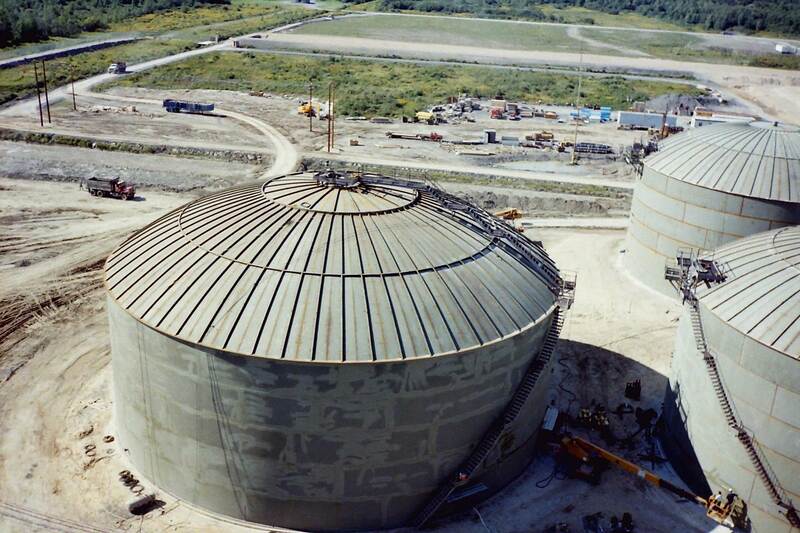 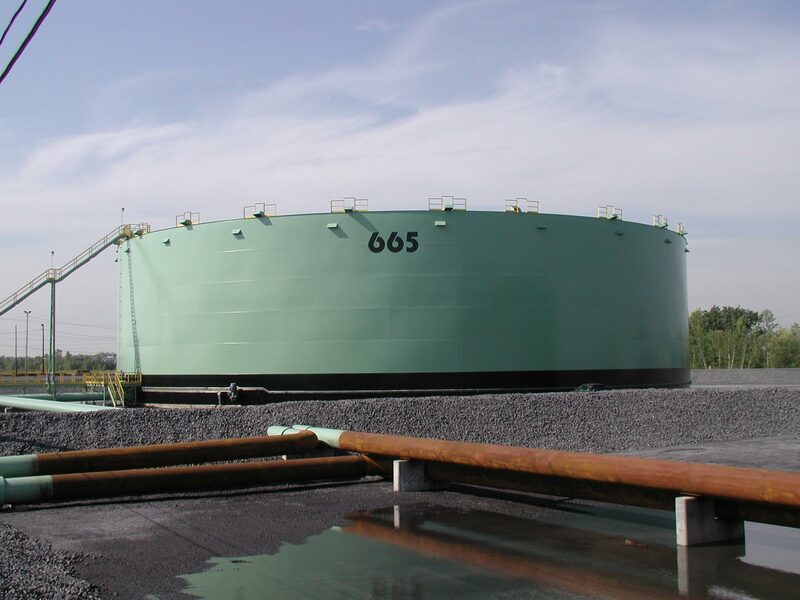 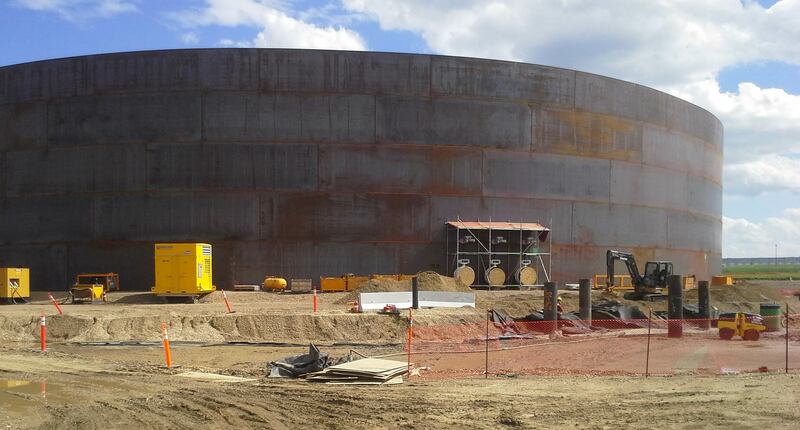 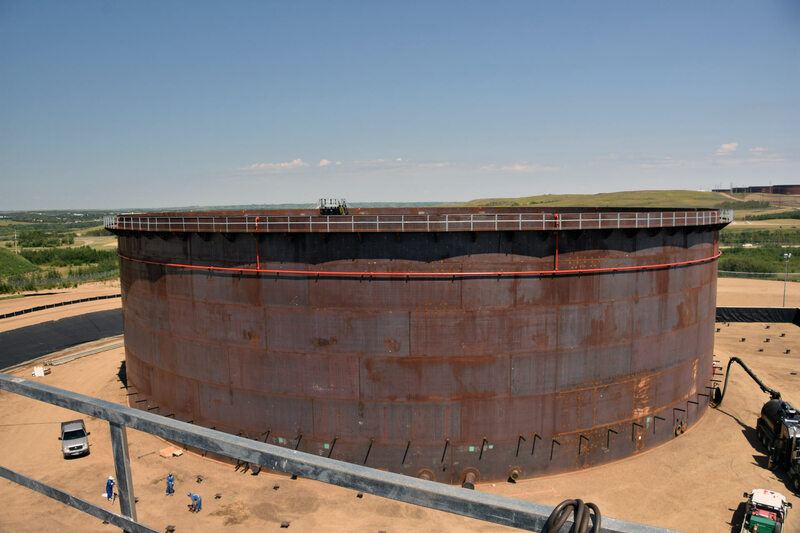 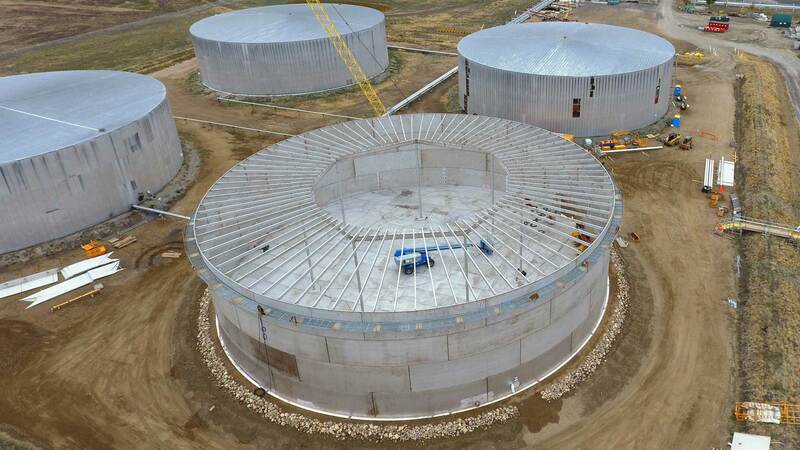 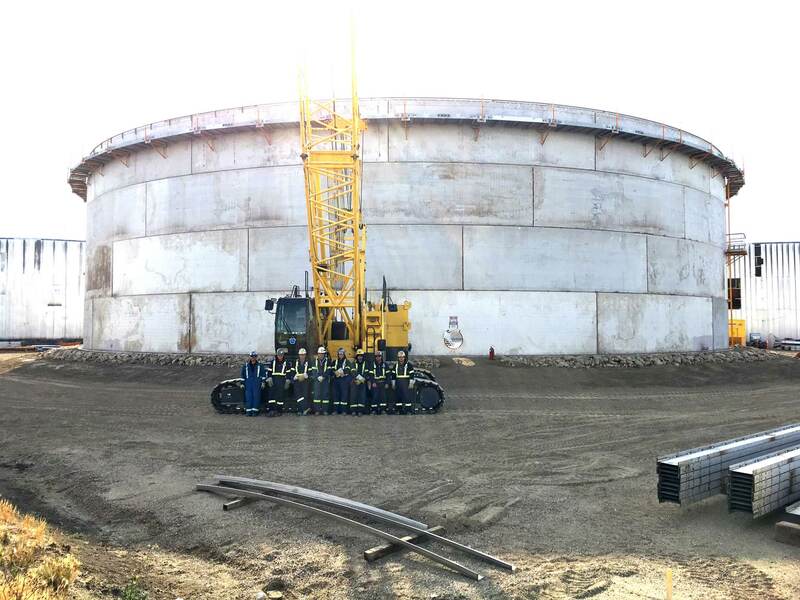 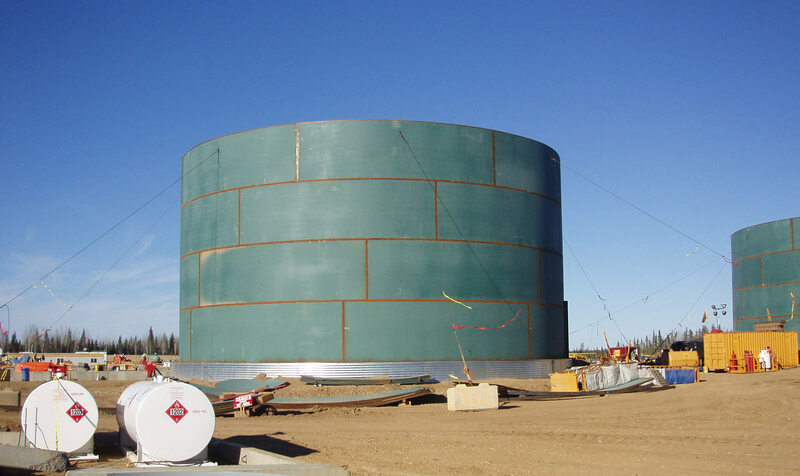 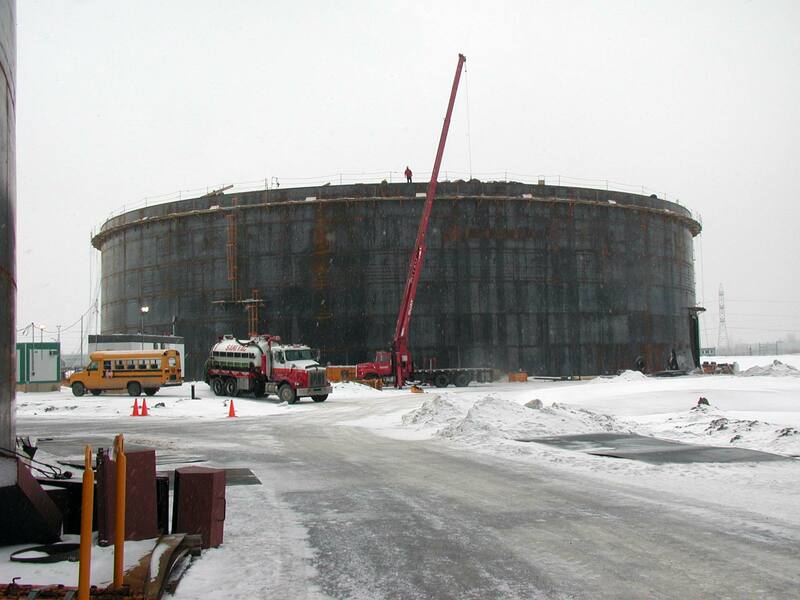 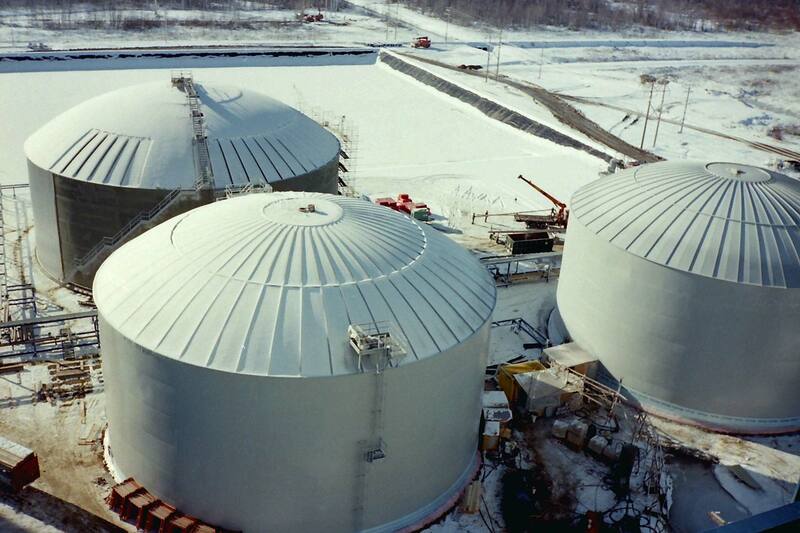 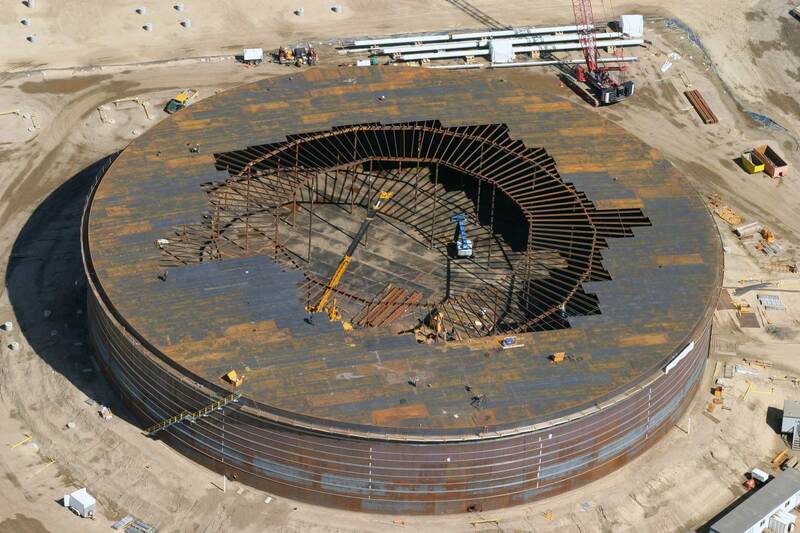 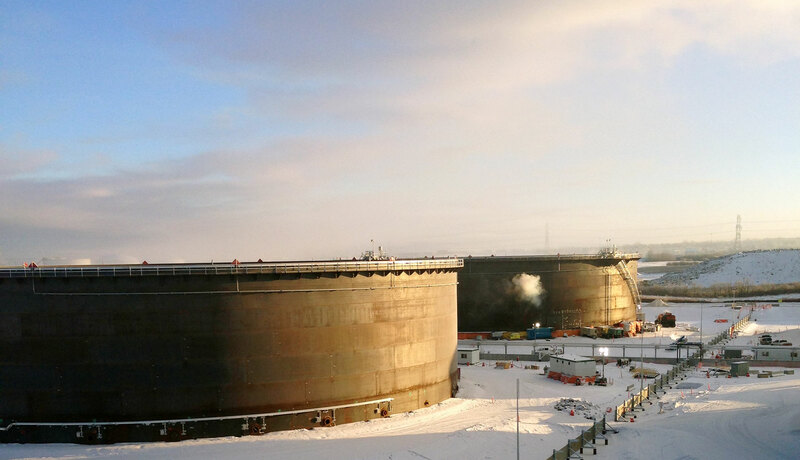 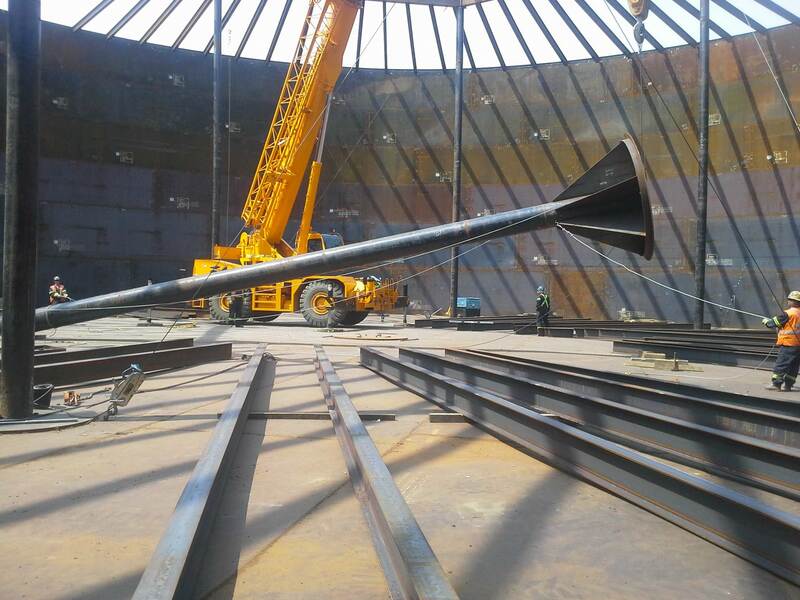 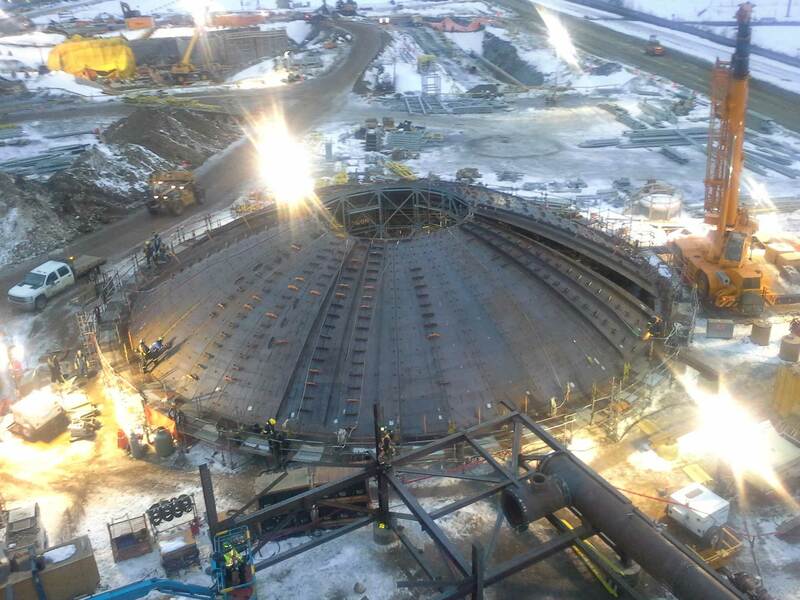 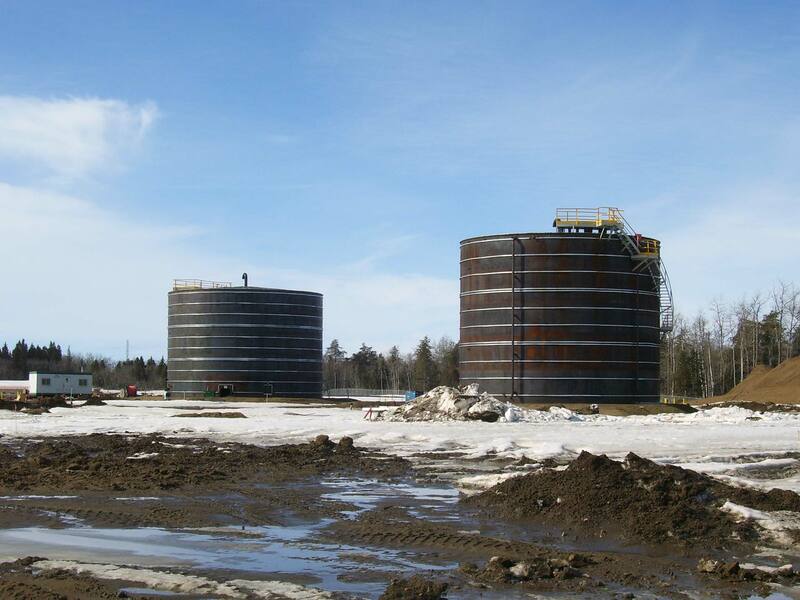 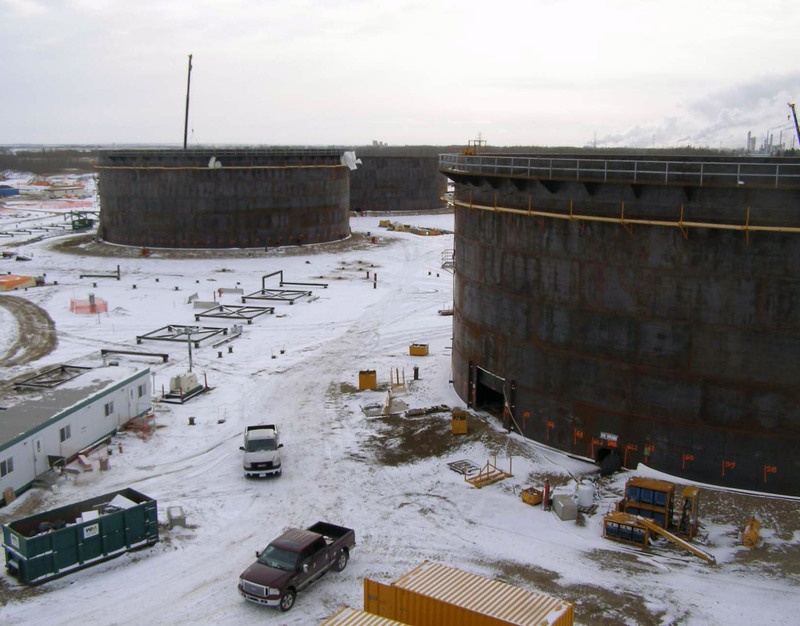 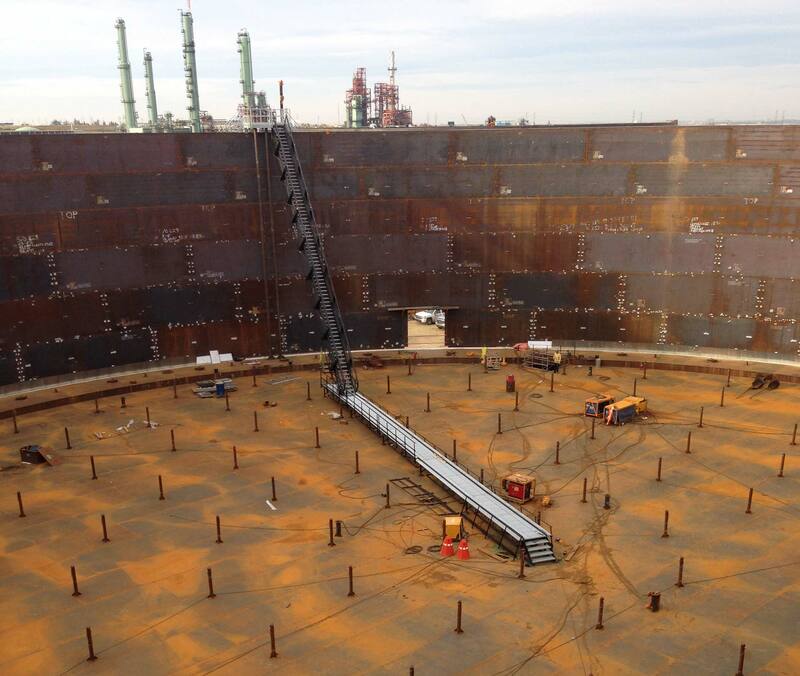 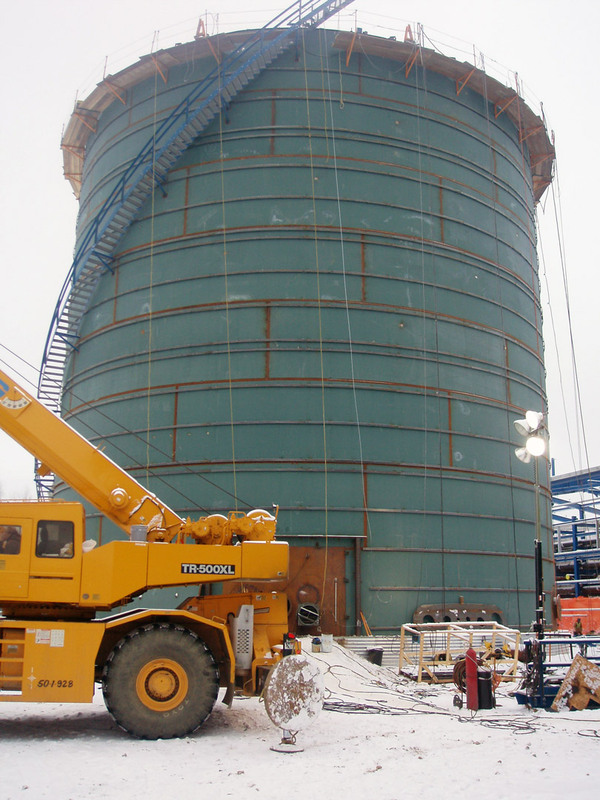 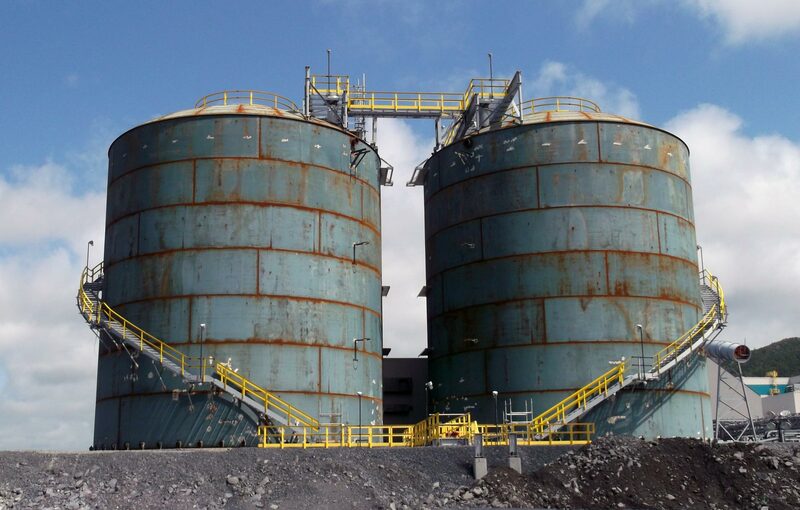 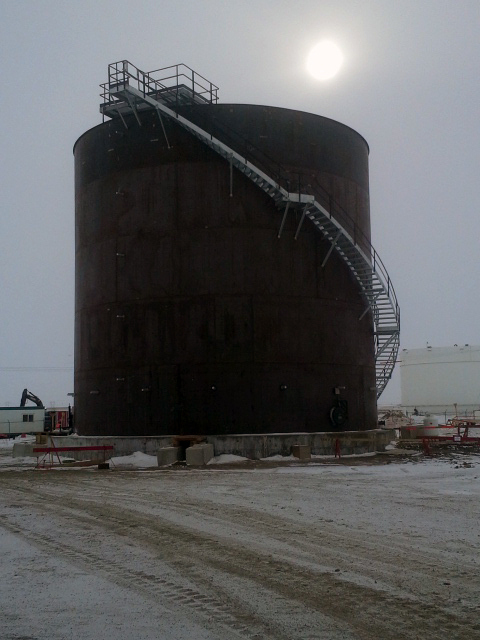 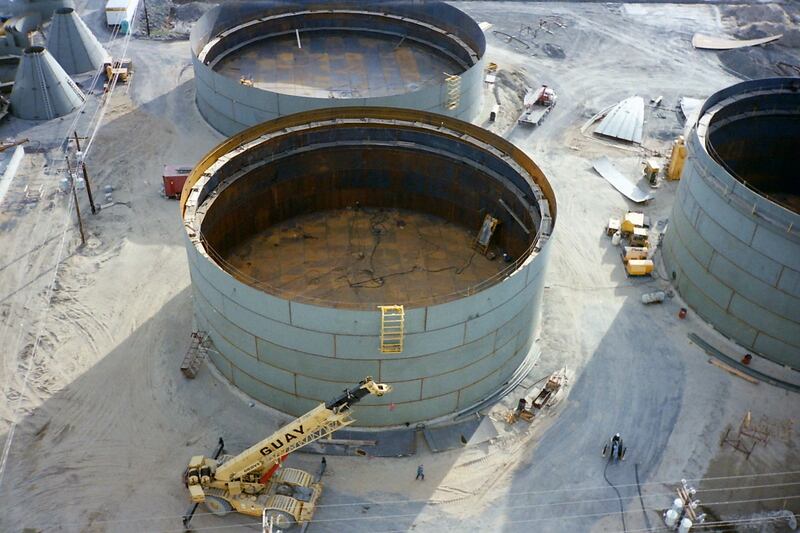 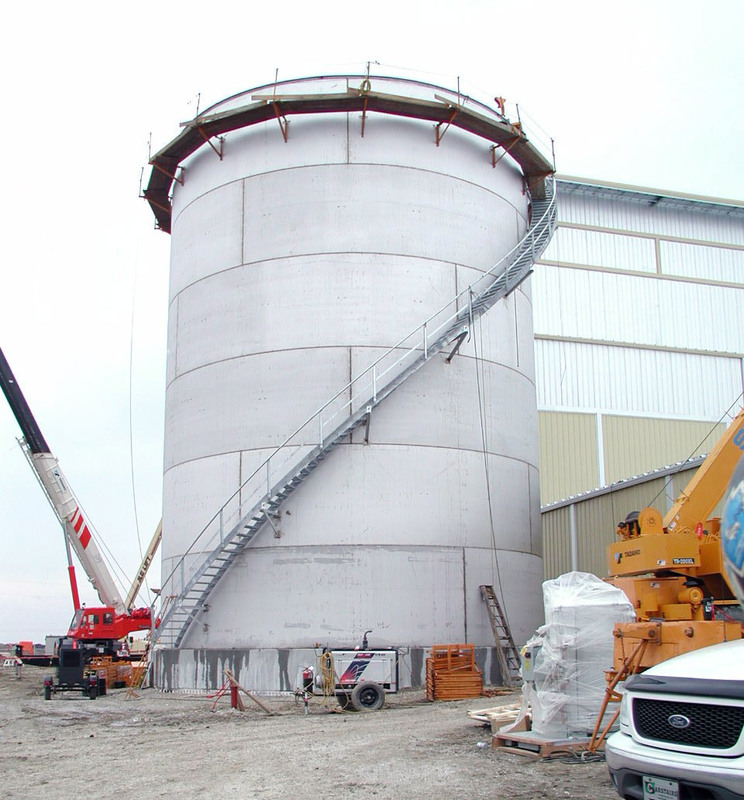 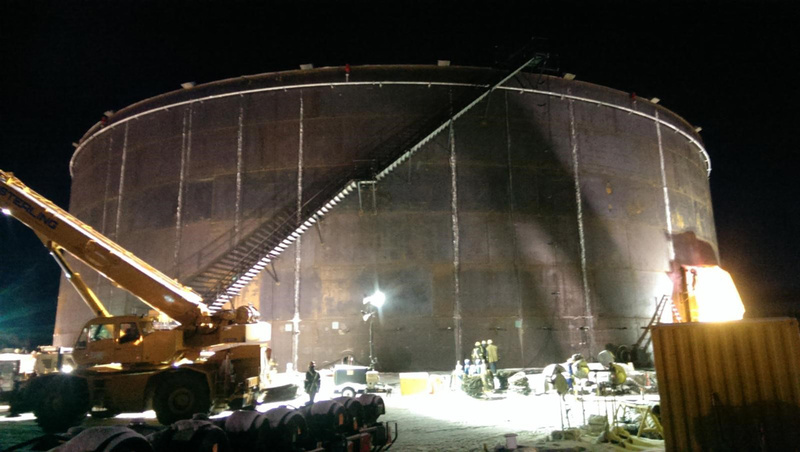 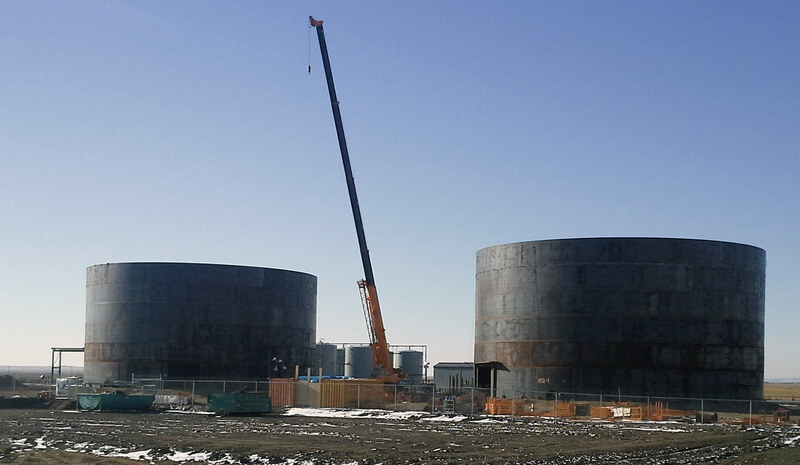 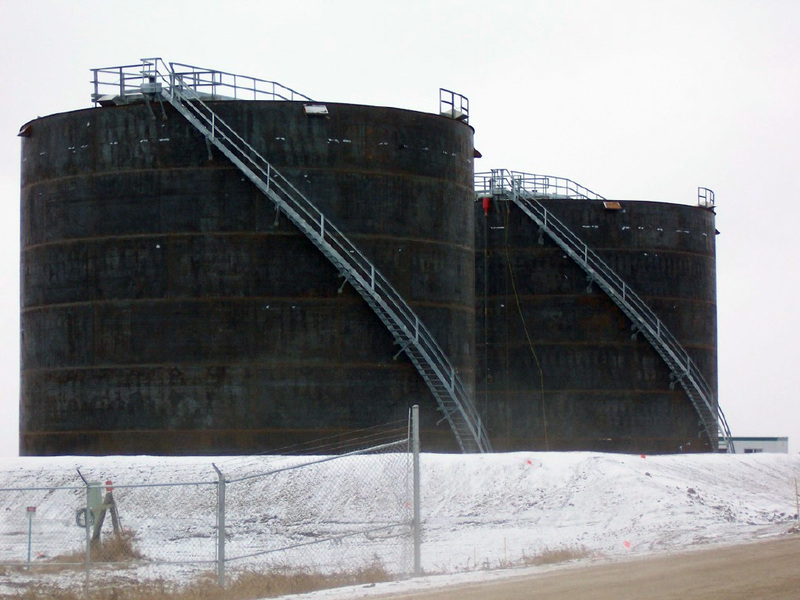 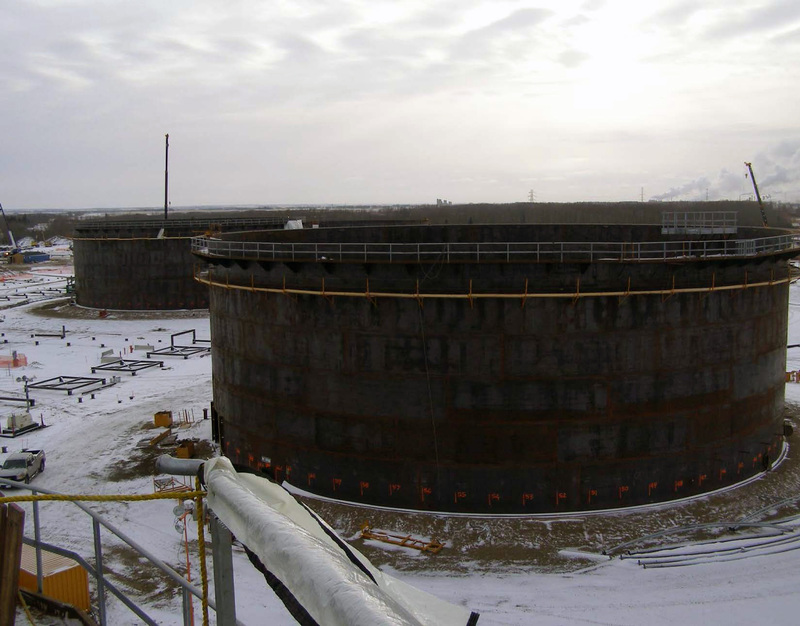 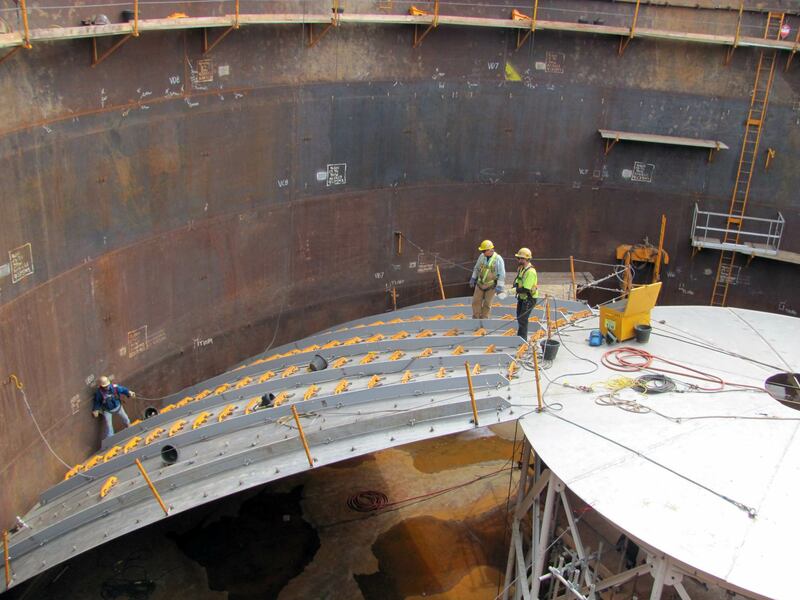 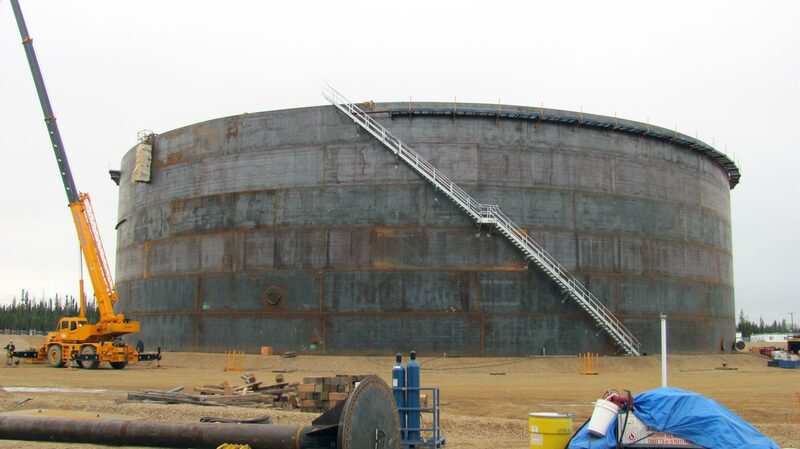 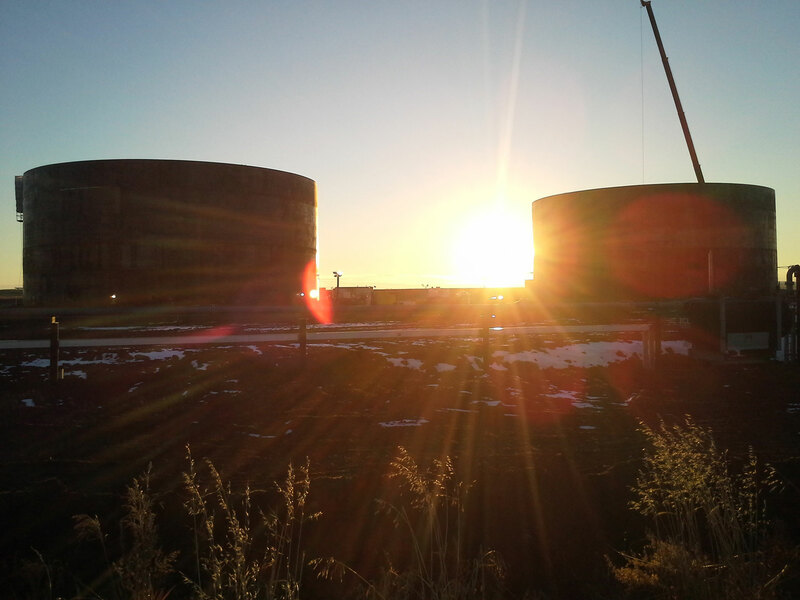 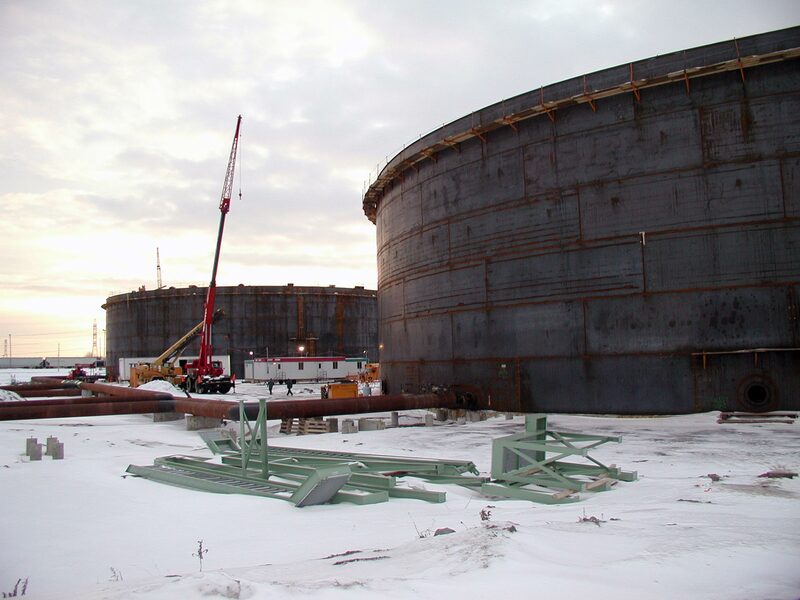 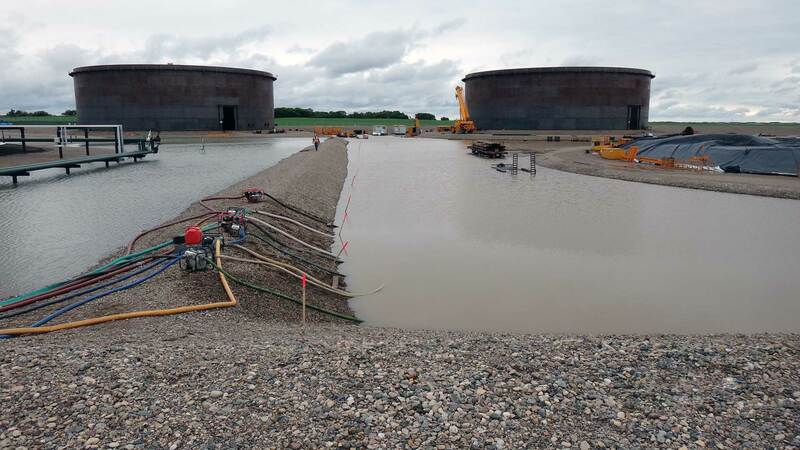 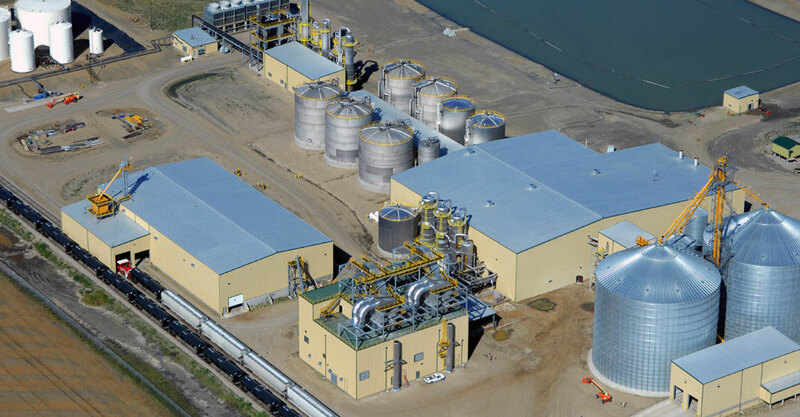 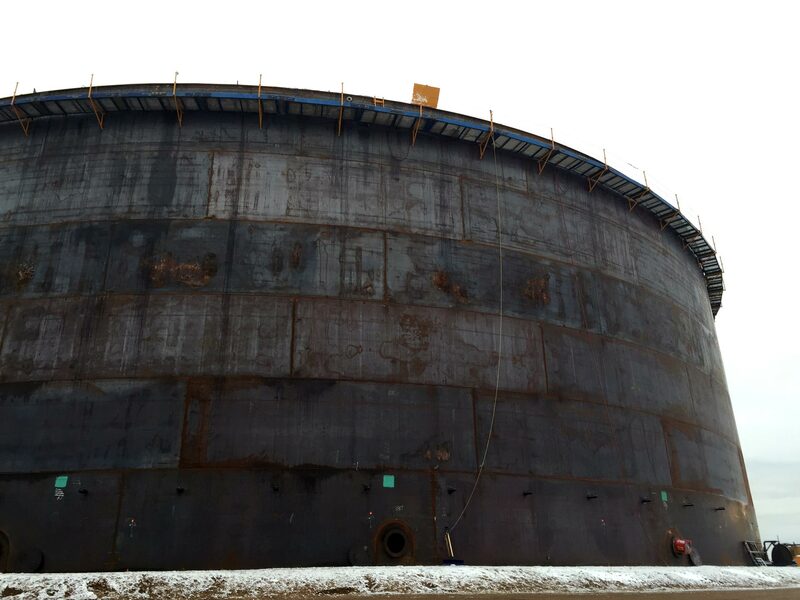 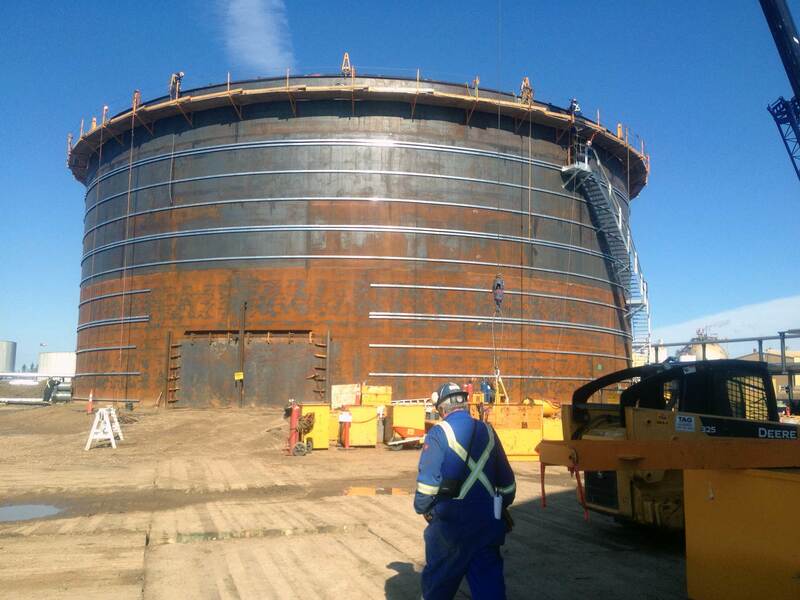 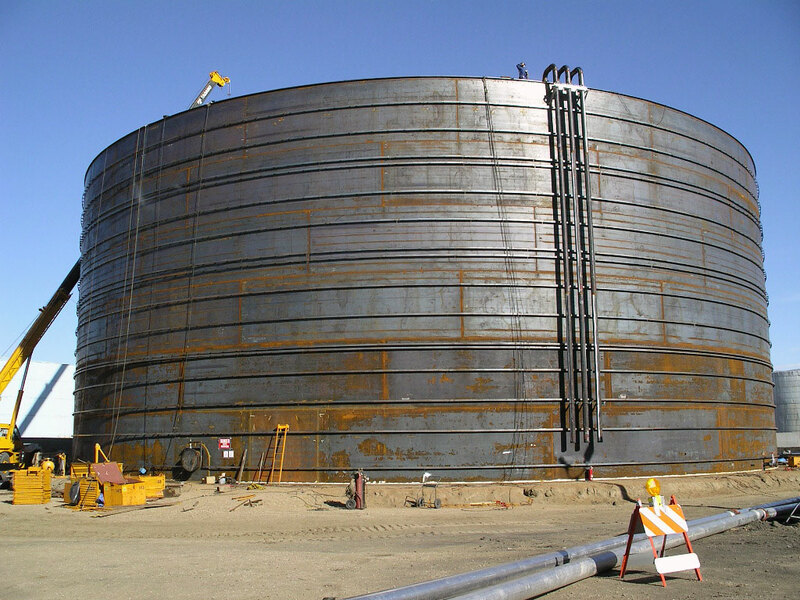 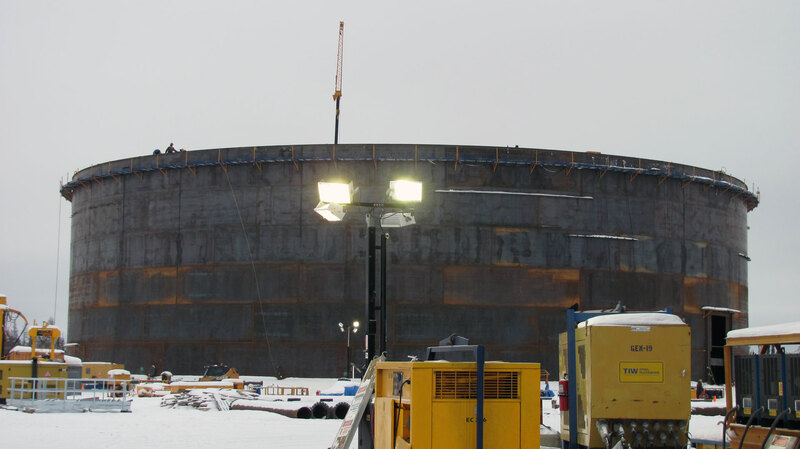 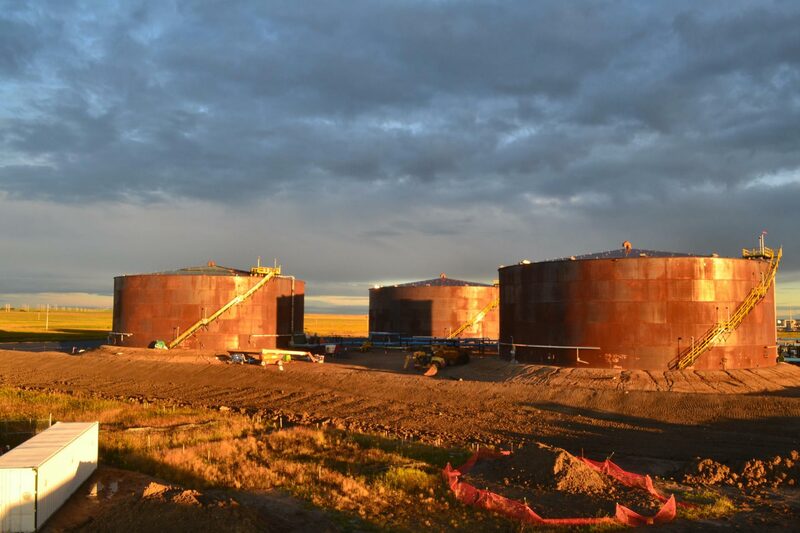 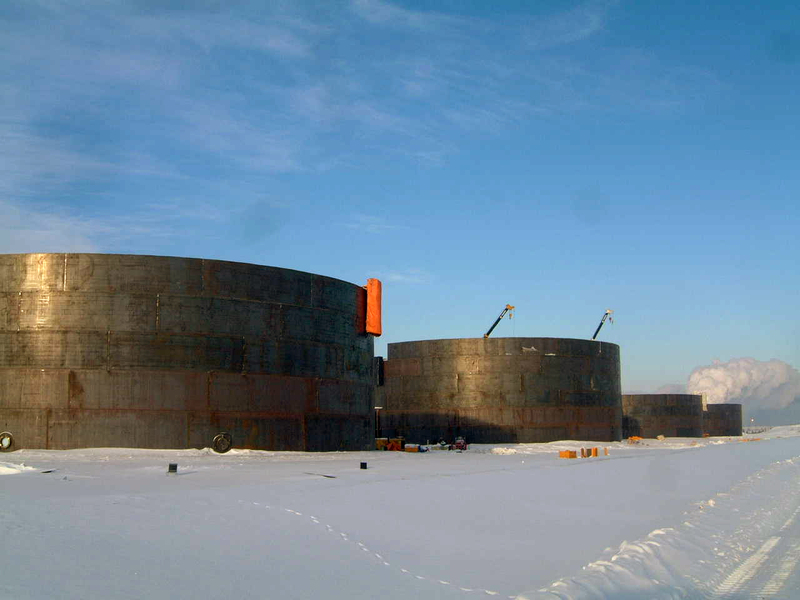 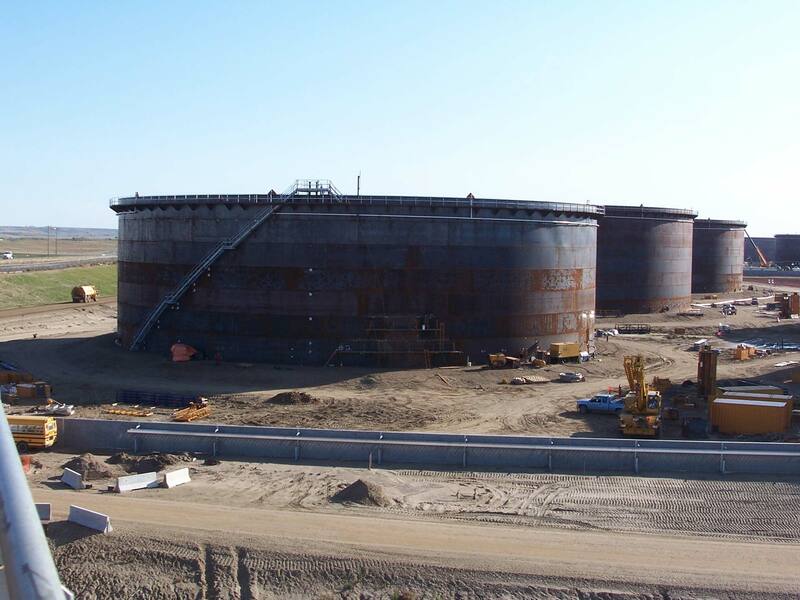 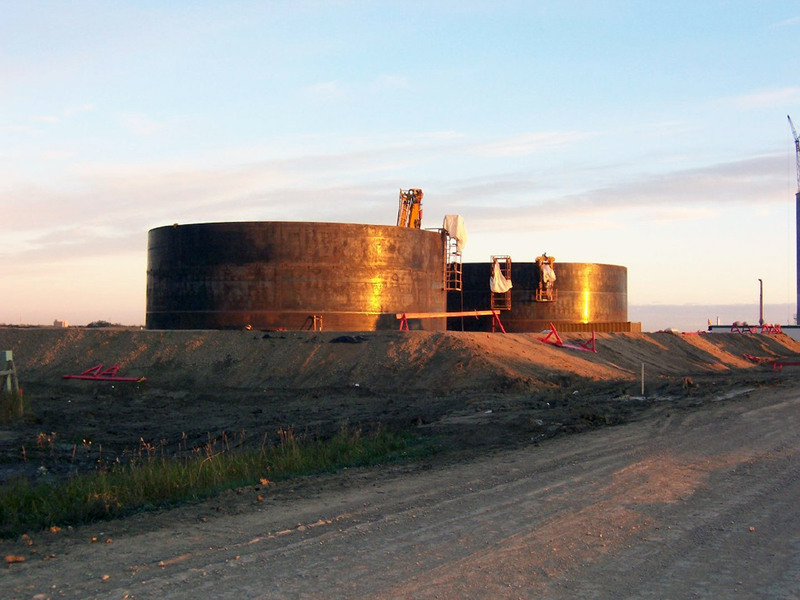 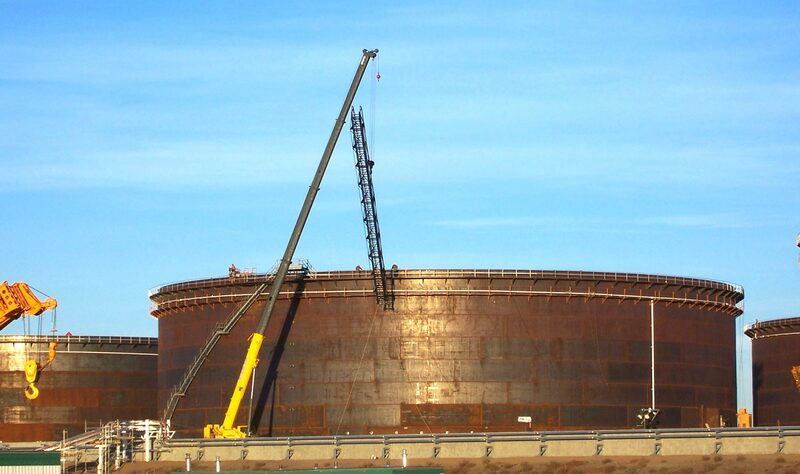 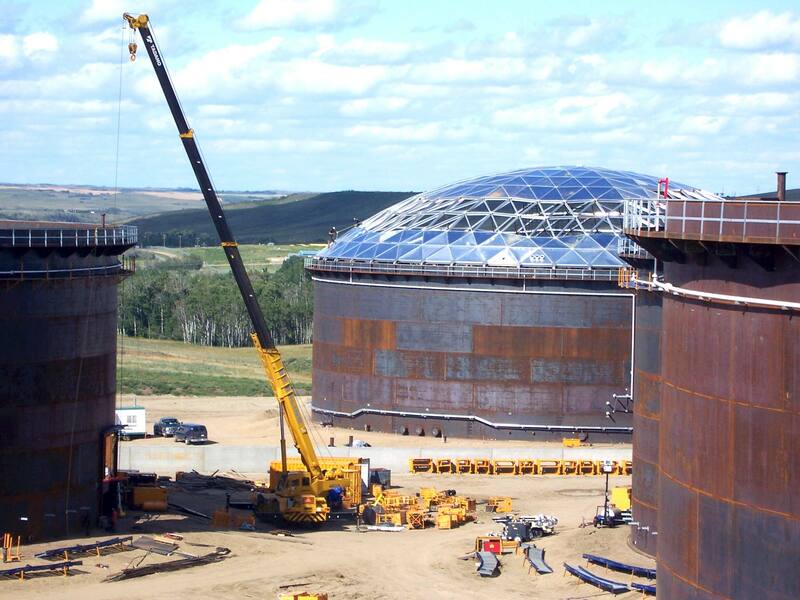 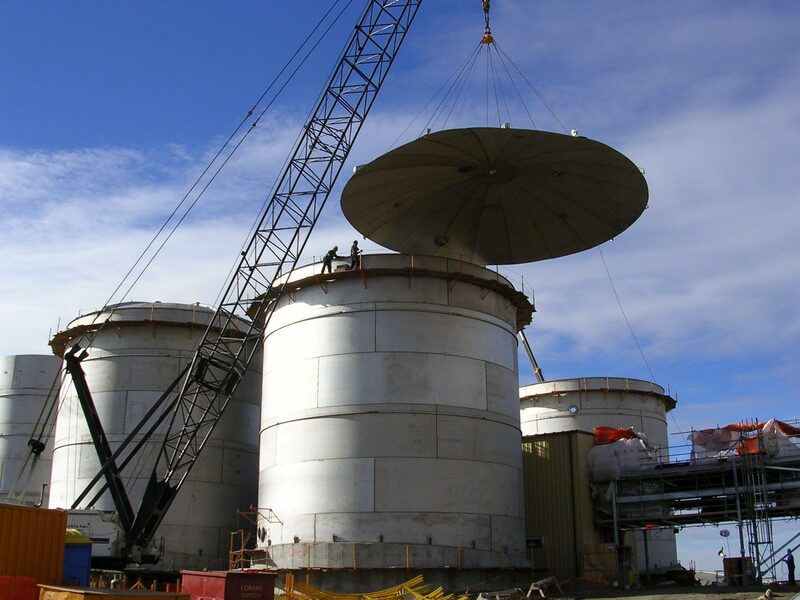 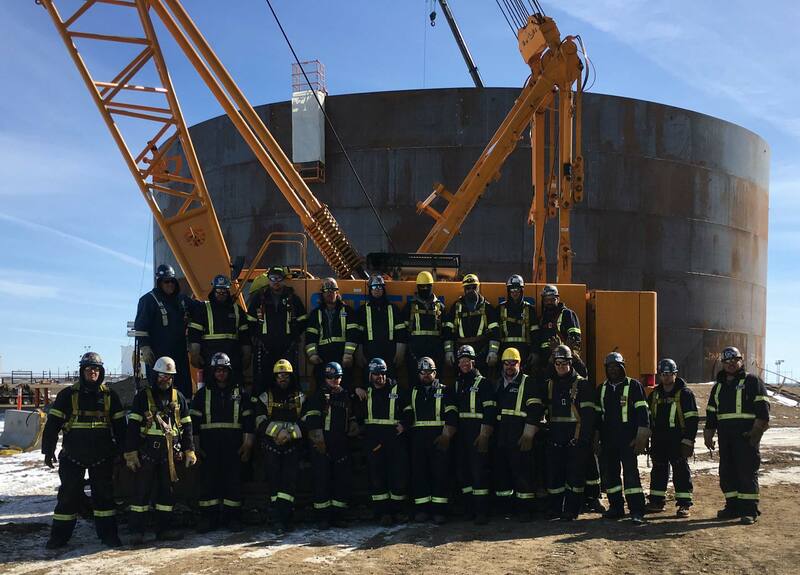 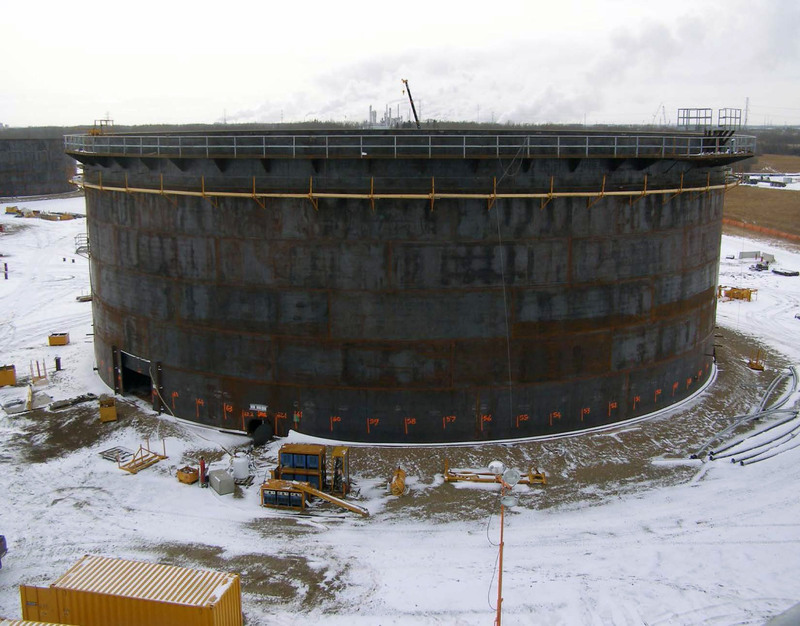 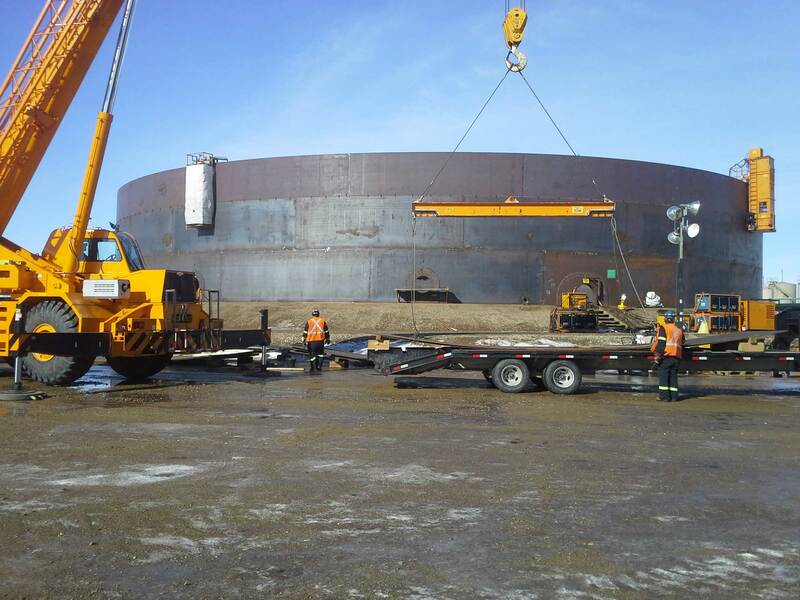 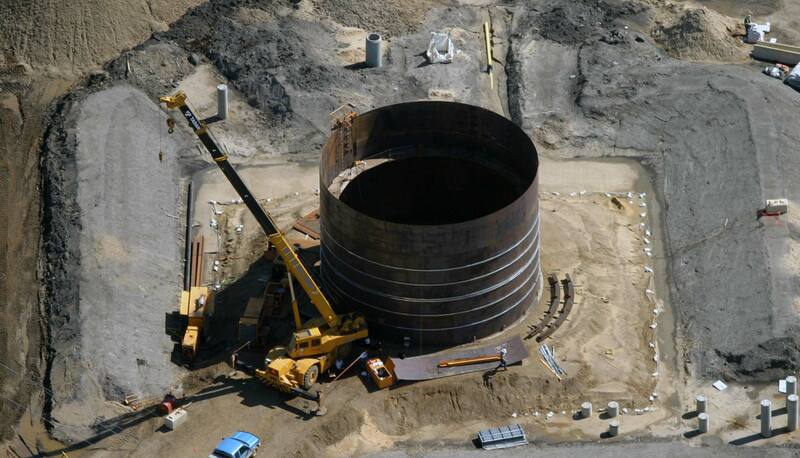 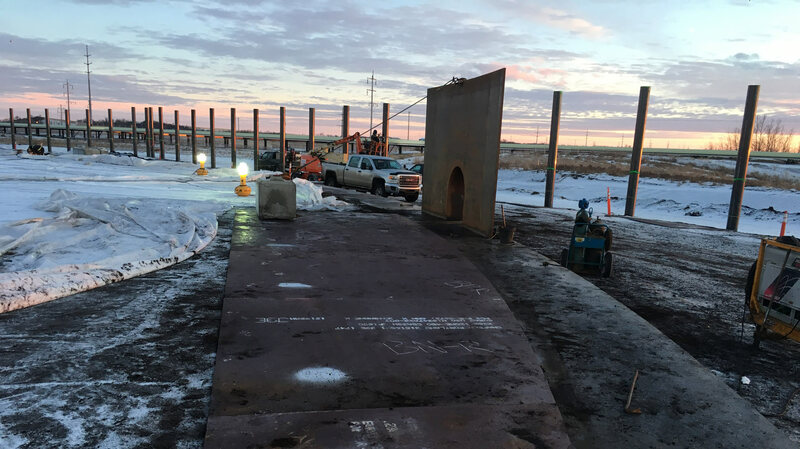 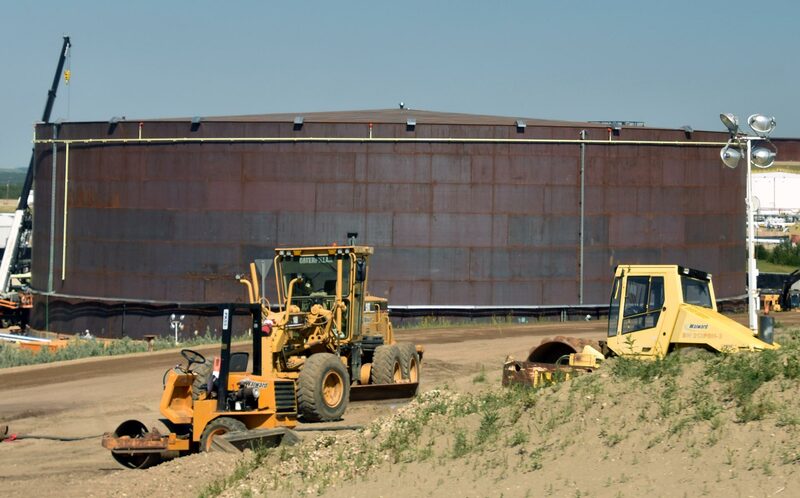 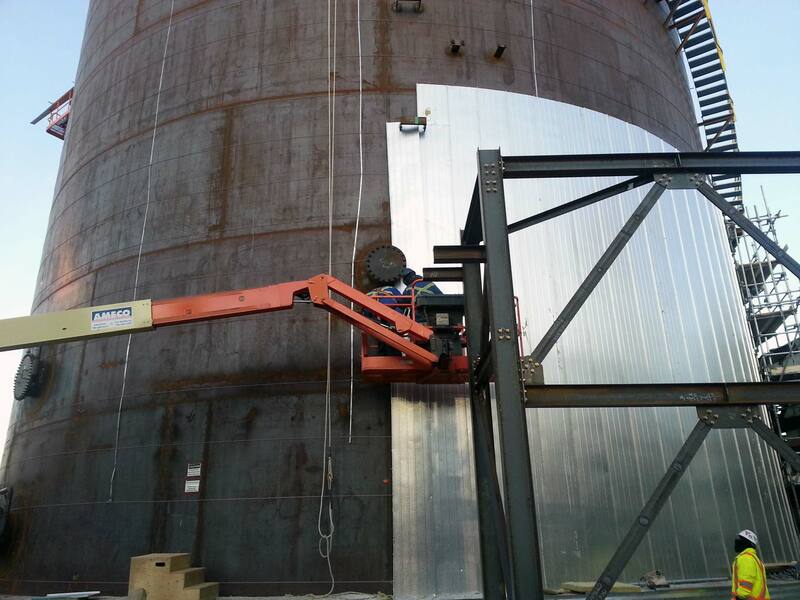 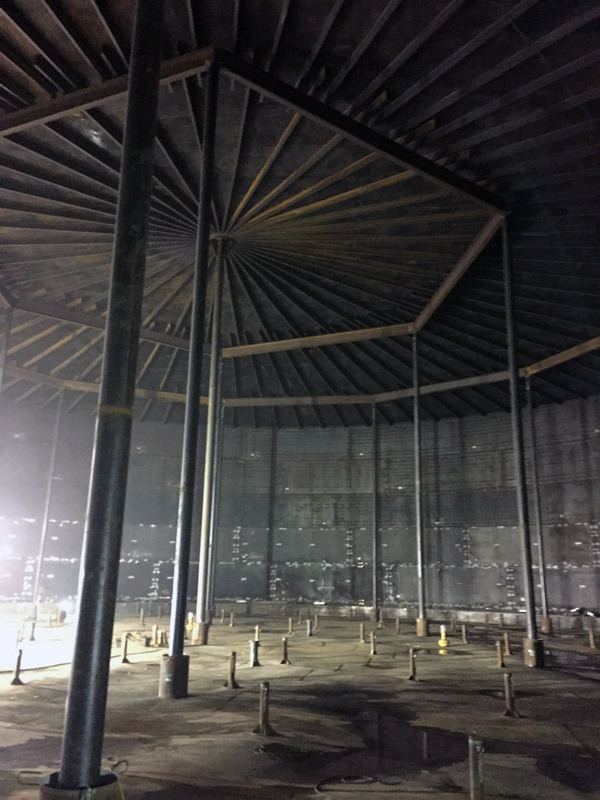 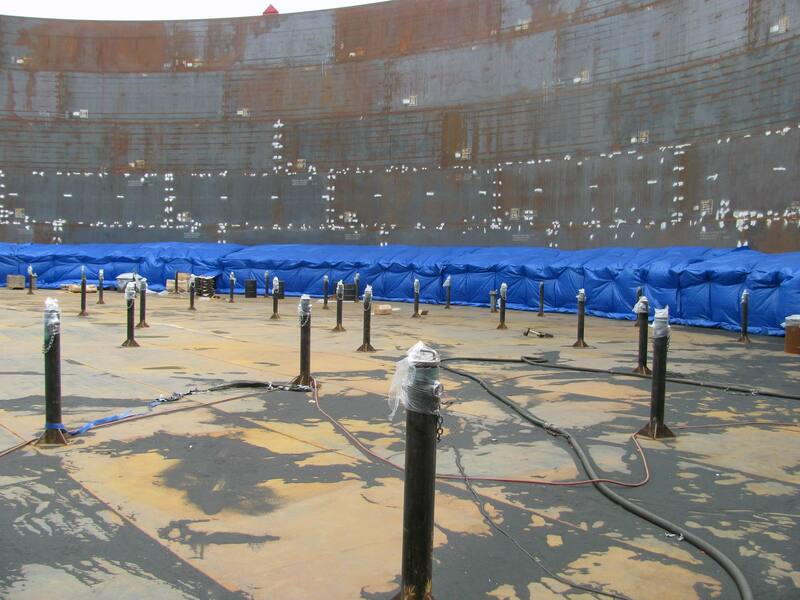 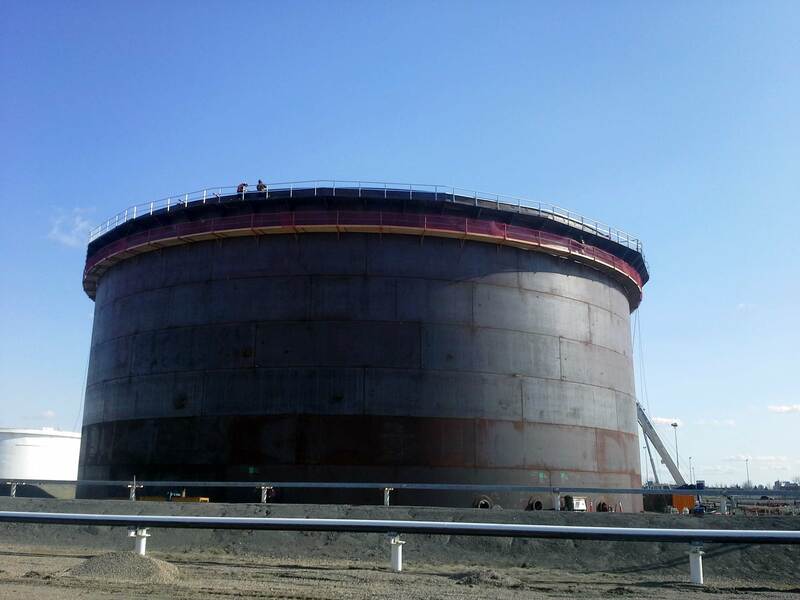 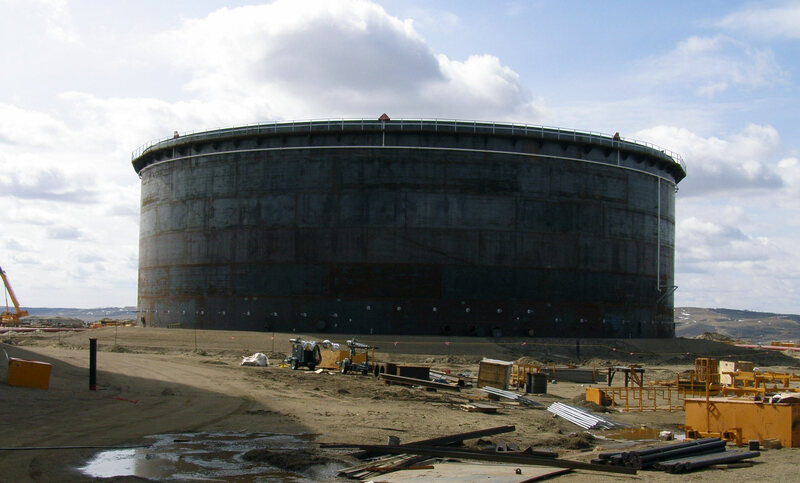 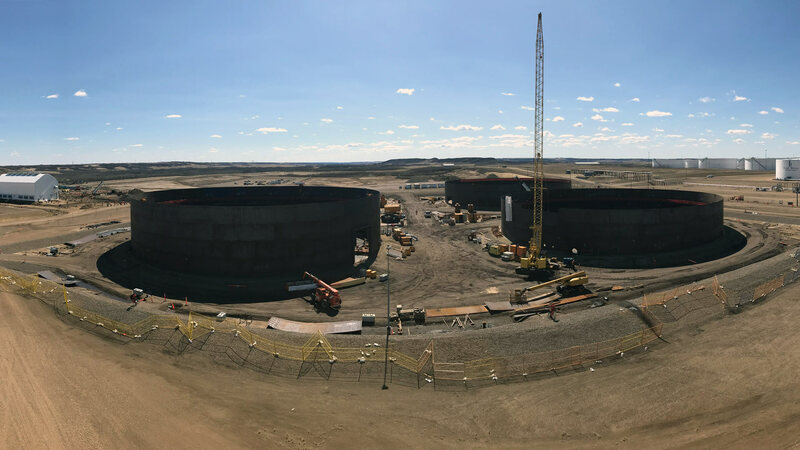 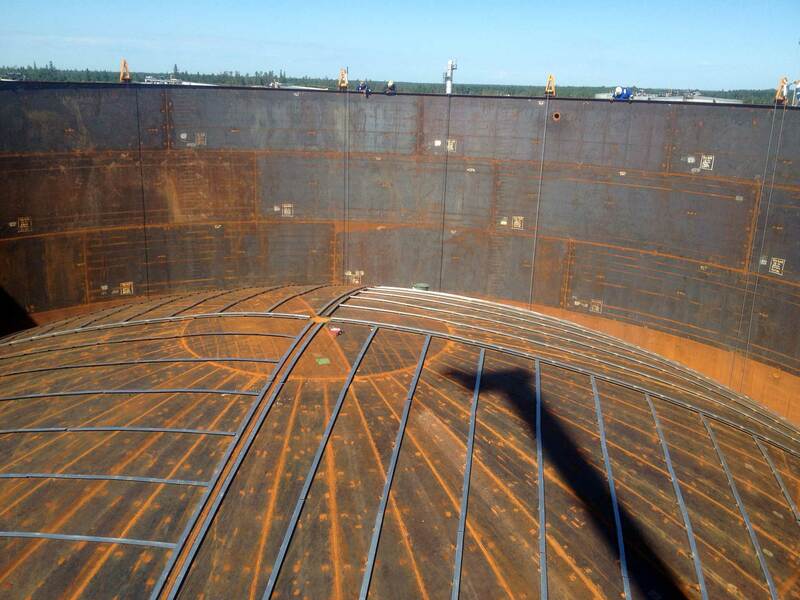 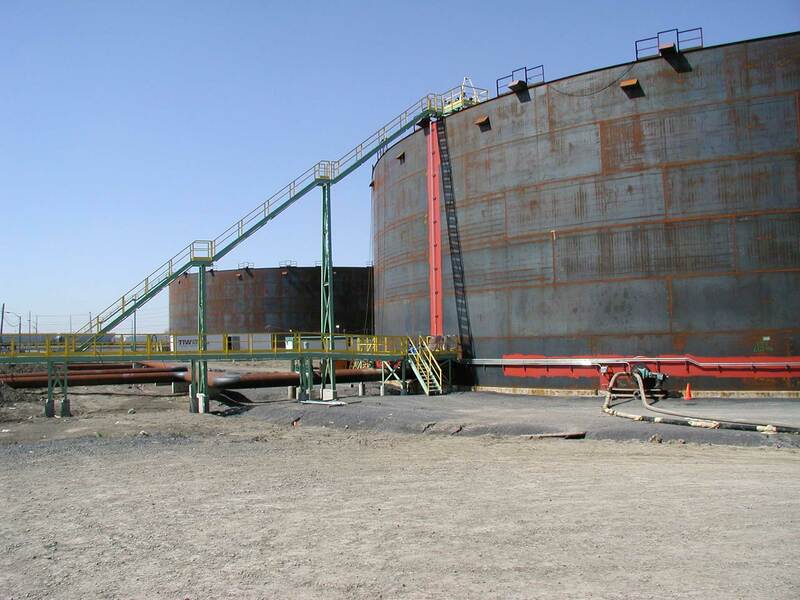 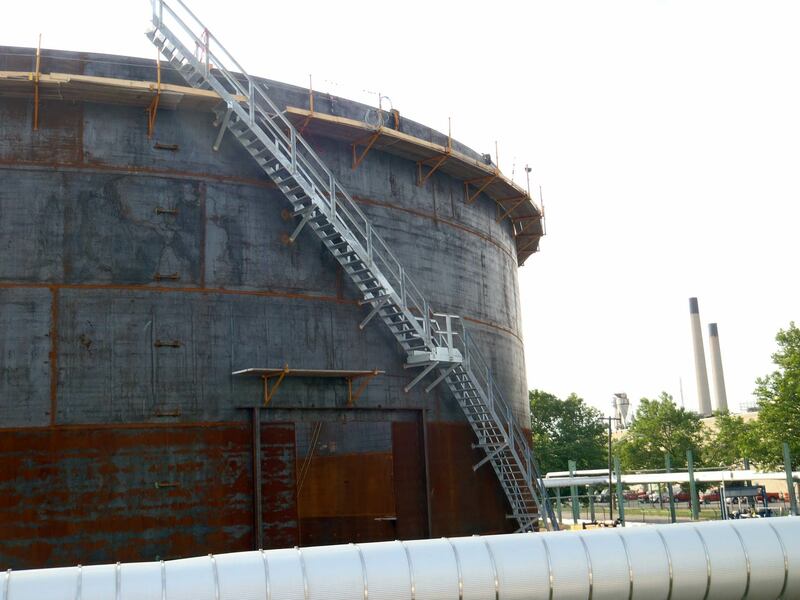 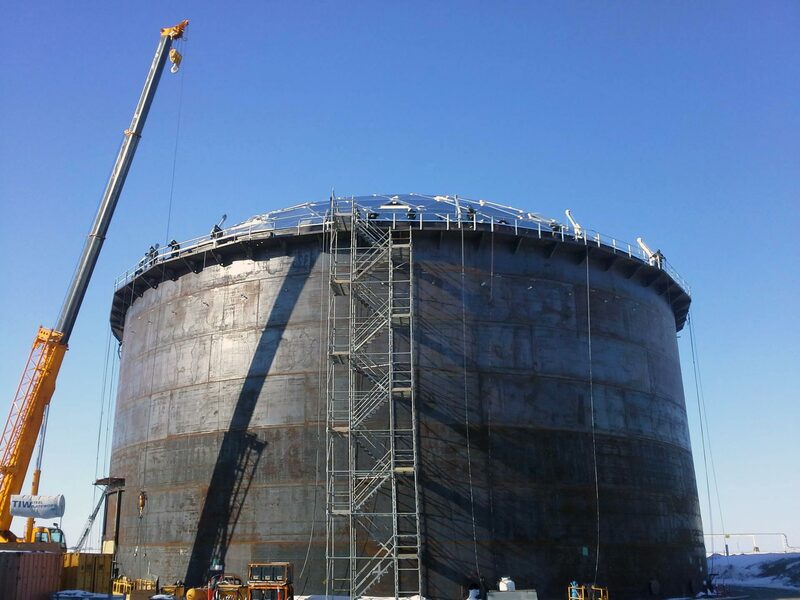 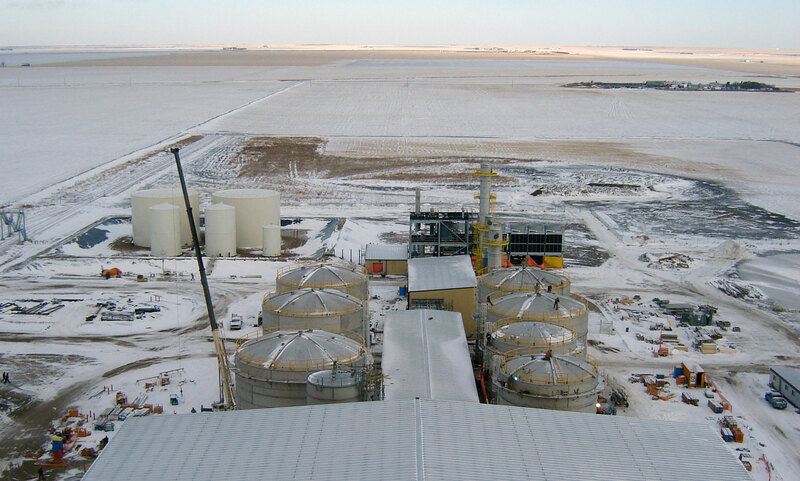 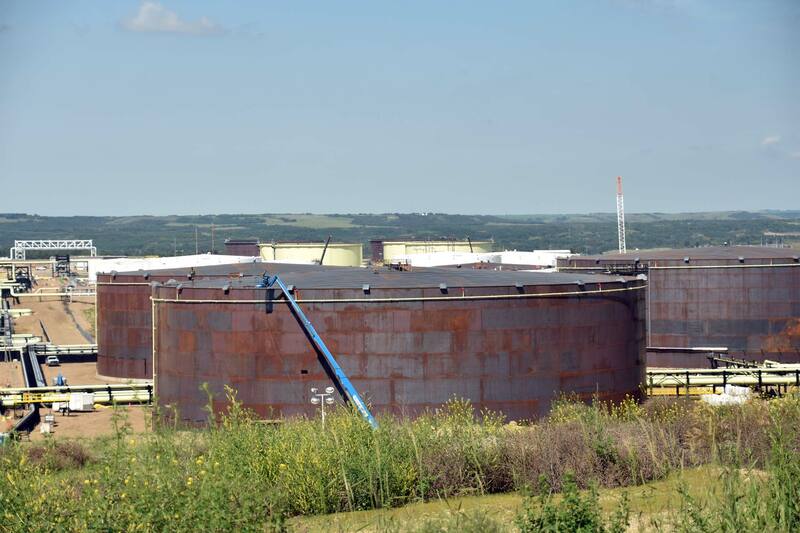 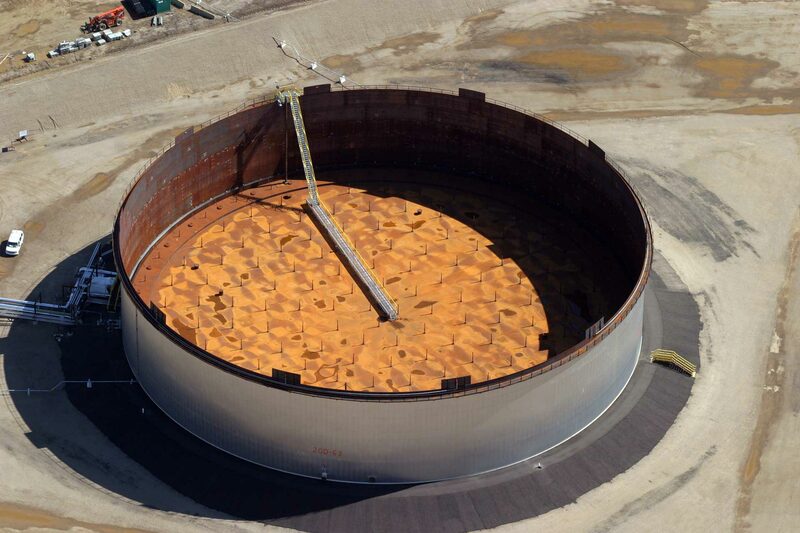 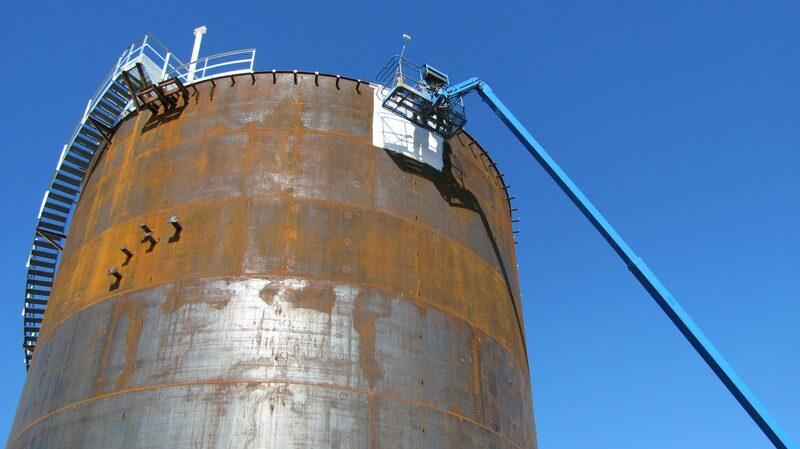 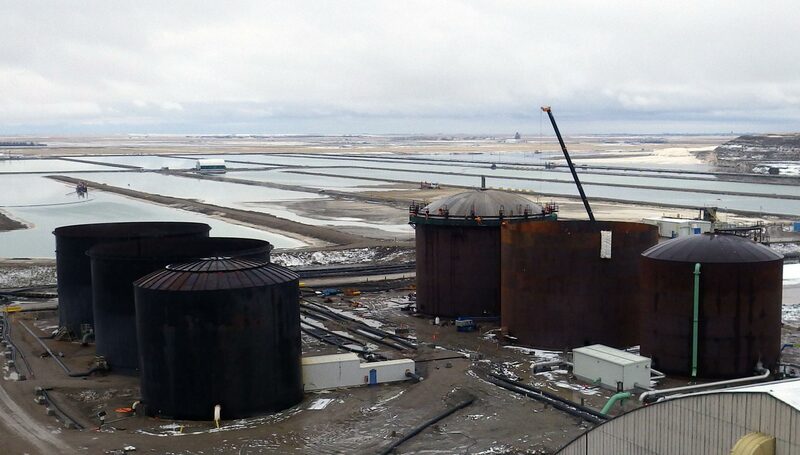 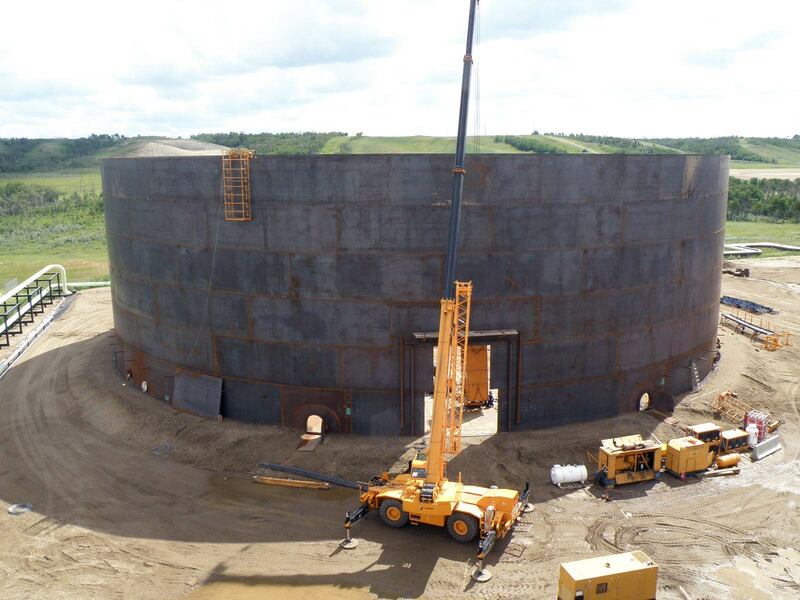 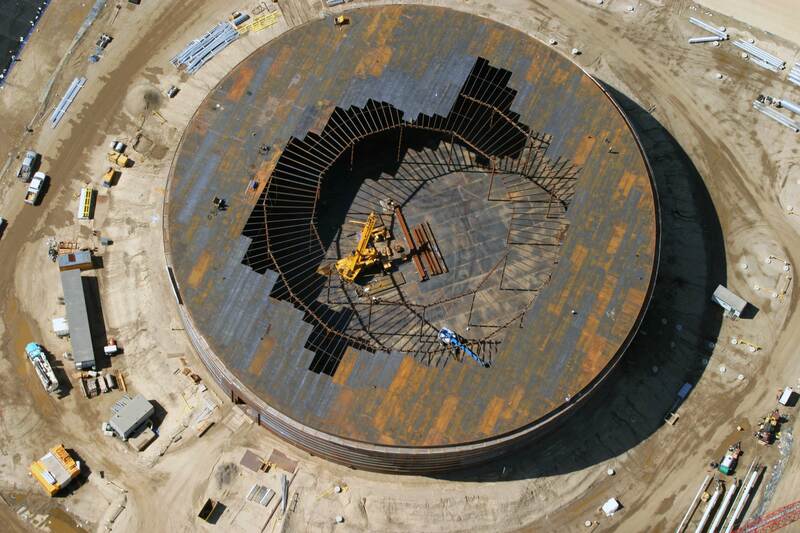 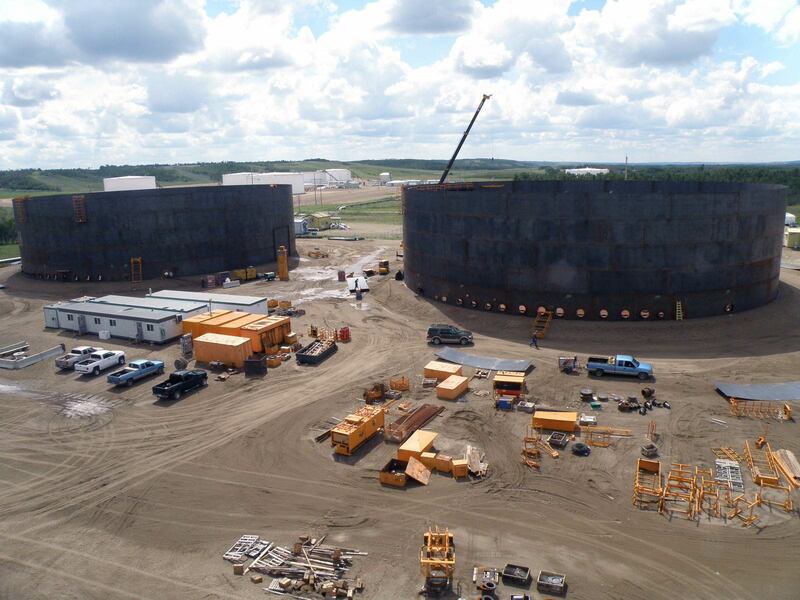 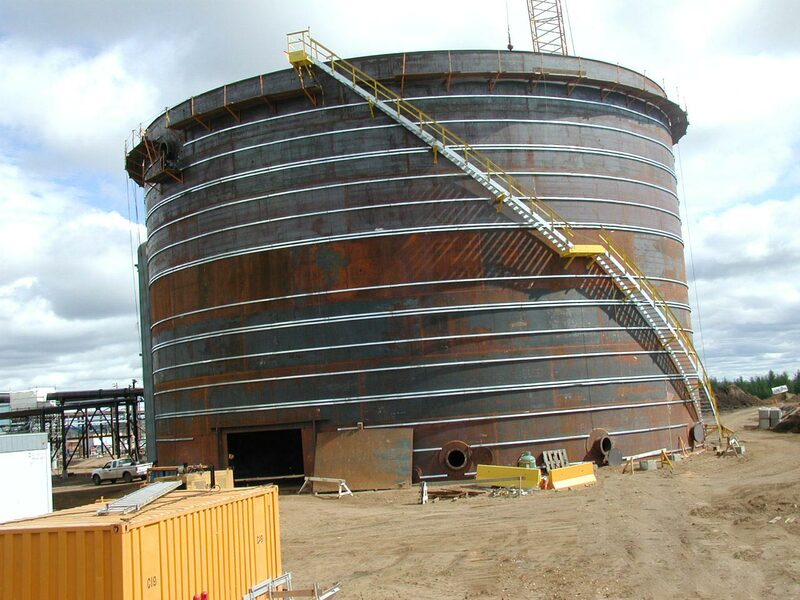 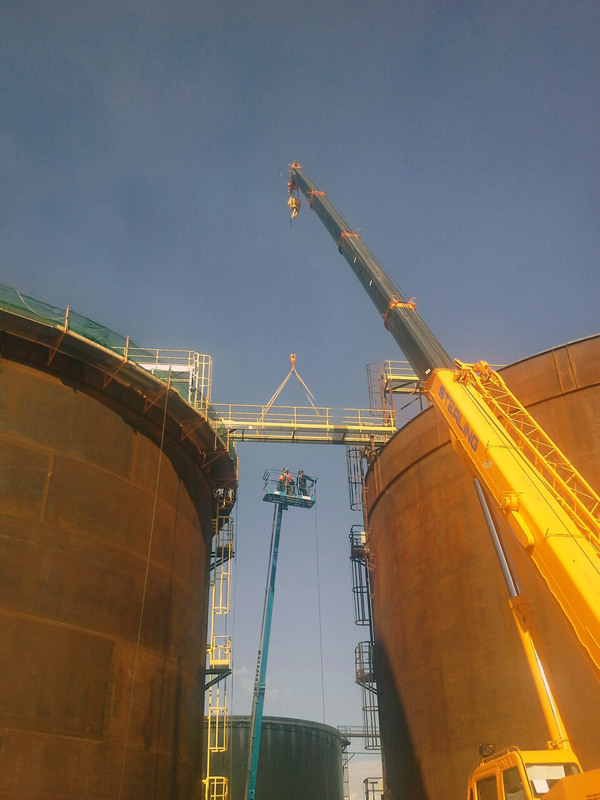 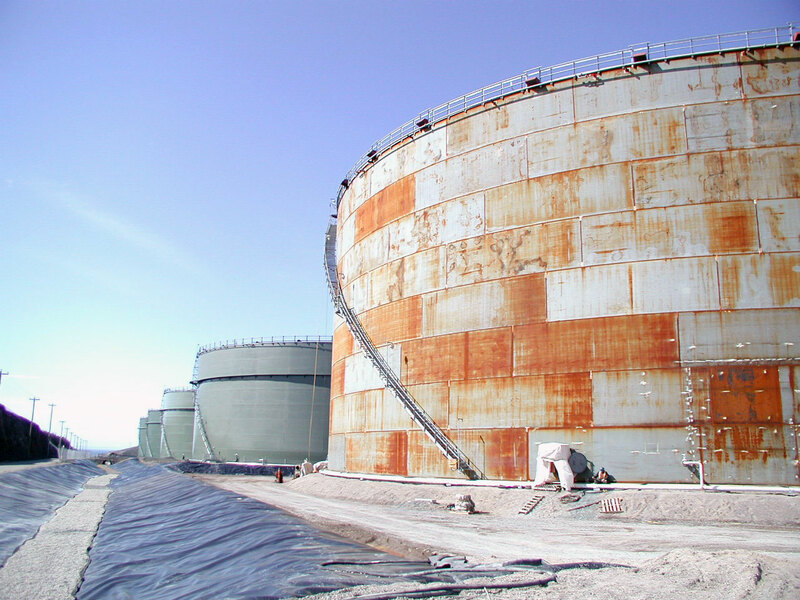 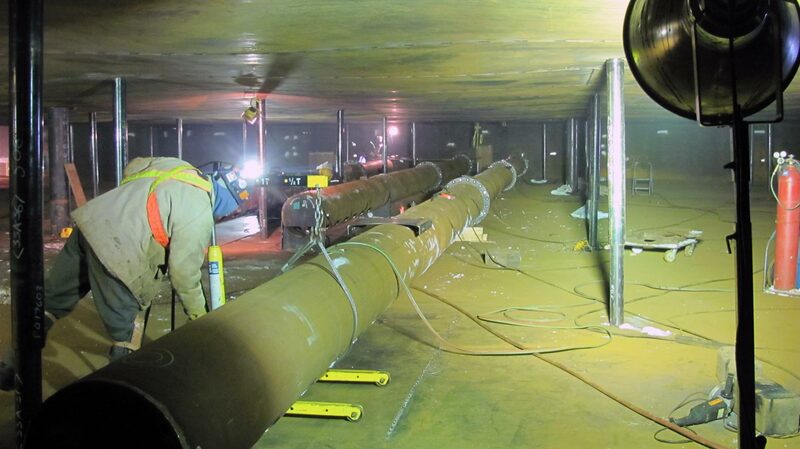 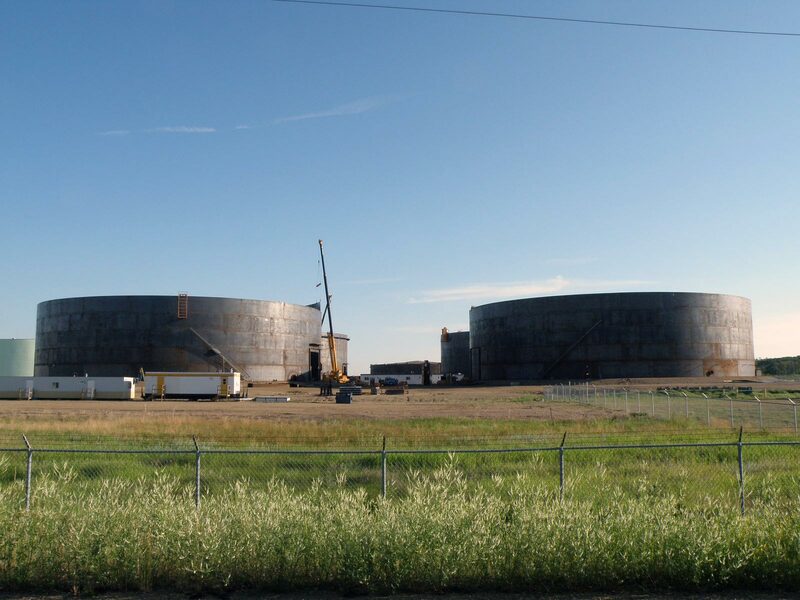 API 650 Tanks - TIW Steel Platework Inc.
TIW specializes in the engineering, fabrication and erection of large diameter aboveground storage tanks designed to API 650 standards. 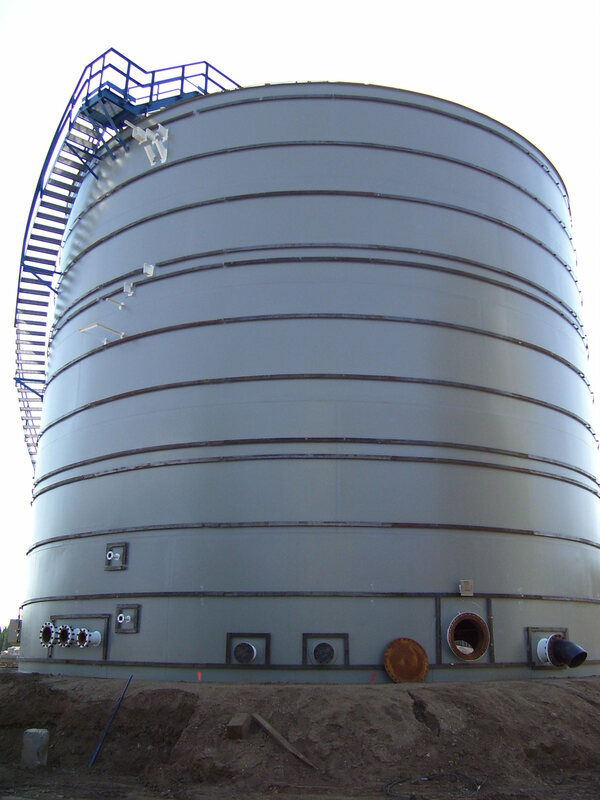 Our highly qualified engineering specialists help you choose the best configuration based on your specific requirements and process design. 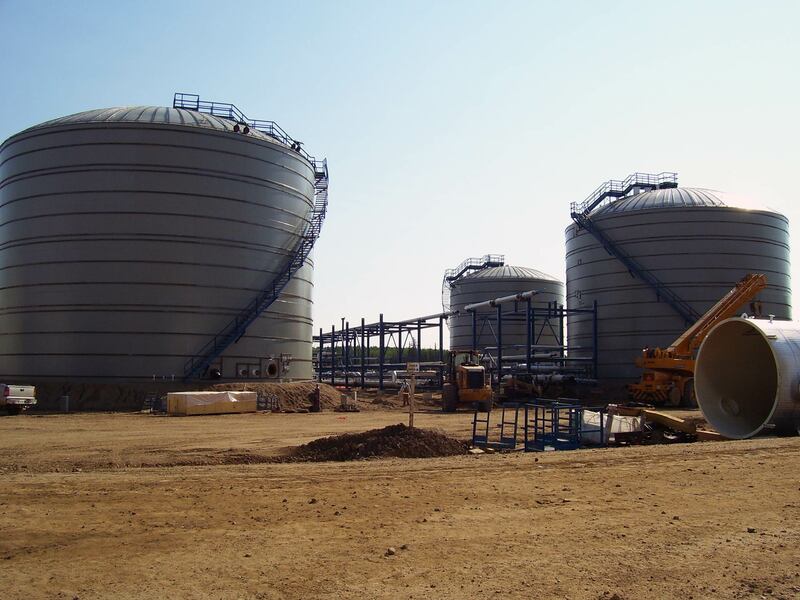 API 650 Stainless Tanks. 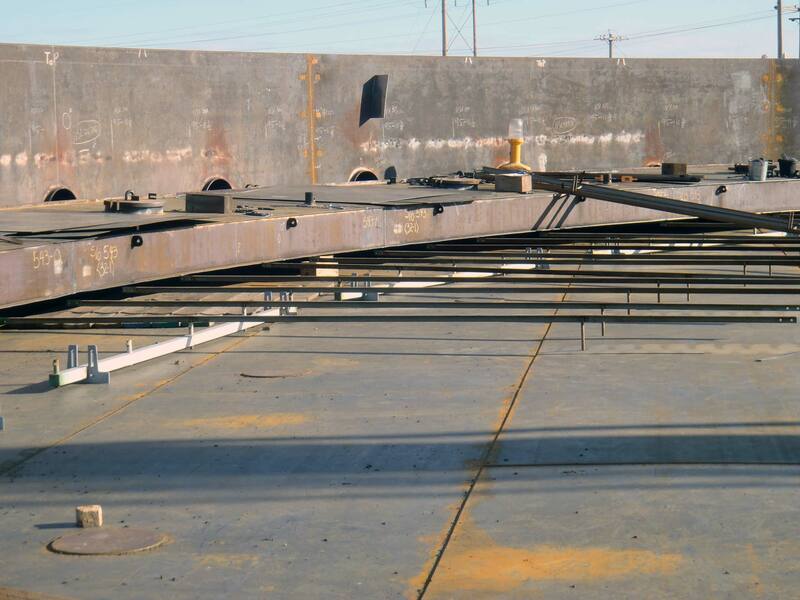 Two 61'25" x 44' High (Lower Right), Four 48'5 x 52' High, One 55' x 48' High, Various Smaller. 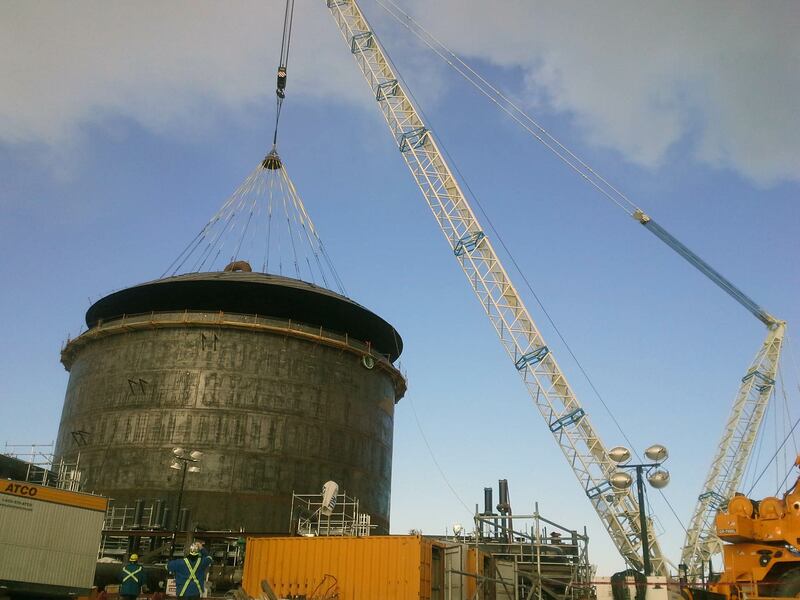 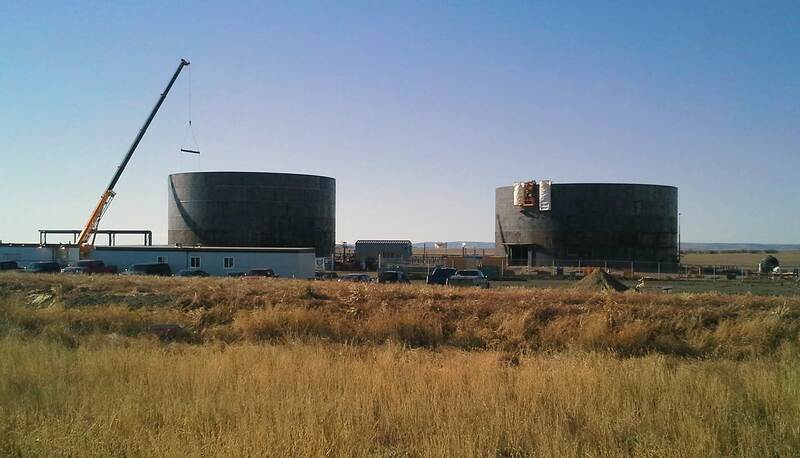 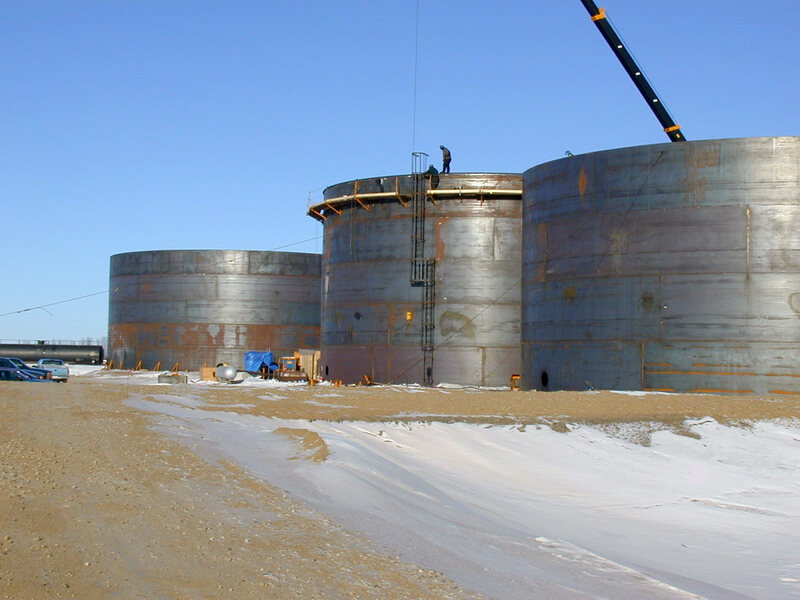 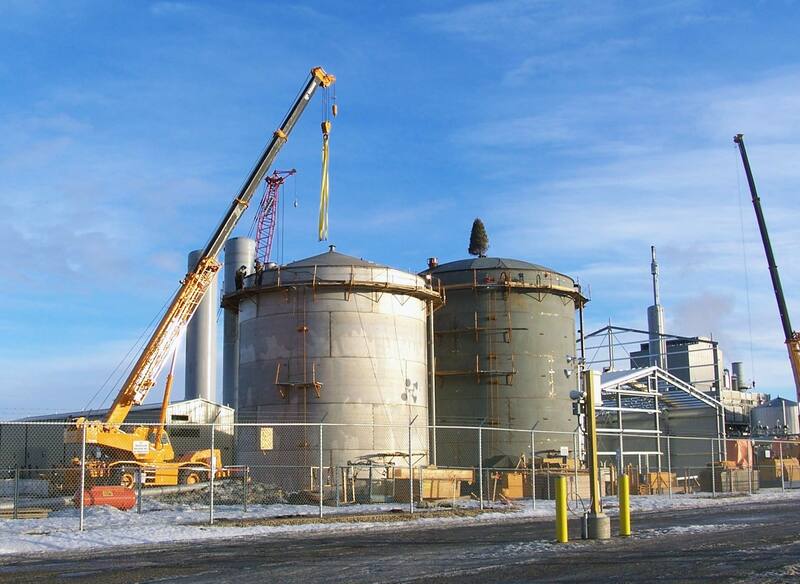 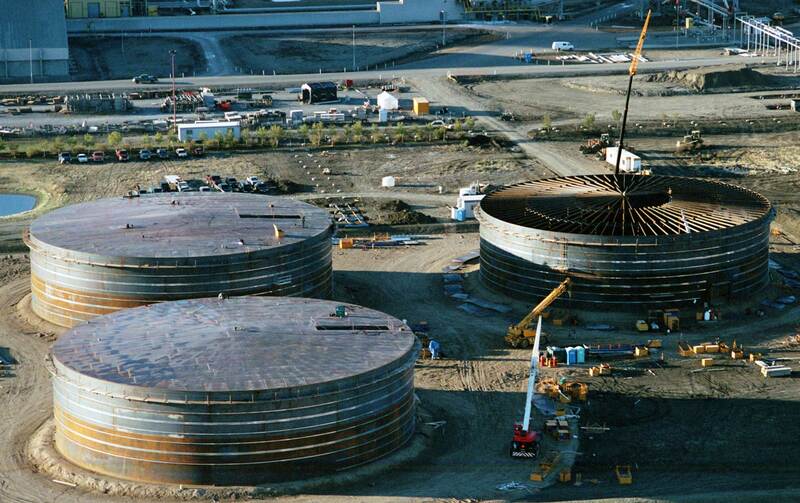 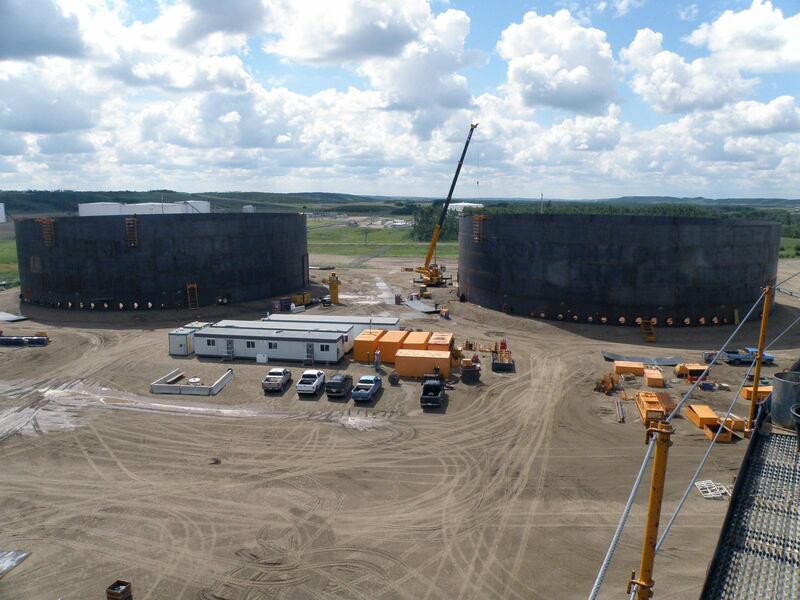 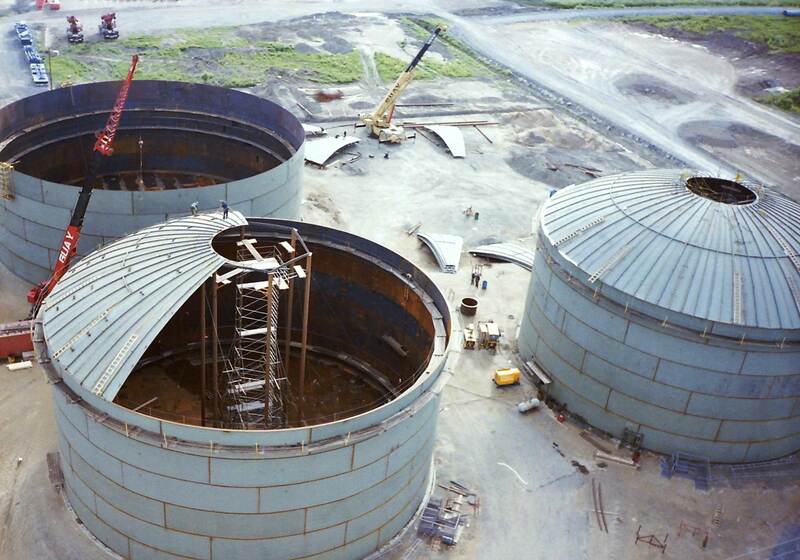 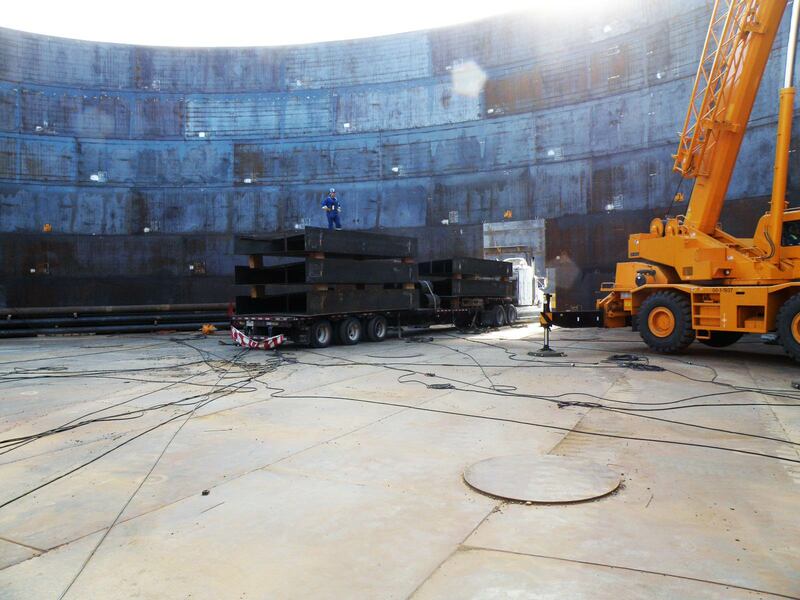 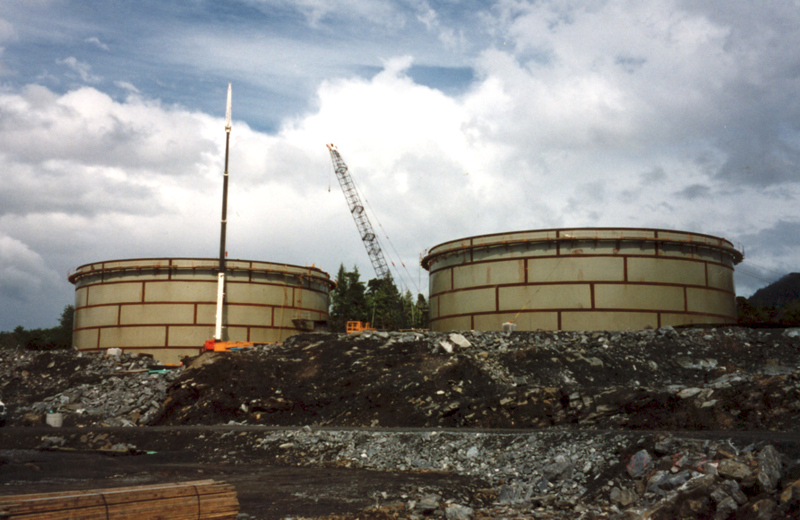 Three API 650 Tanks in Construction for a Hydro Plant.